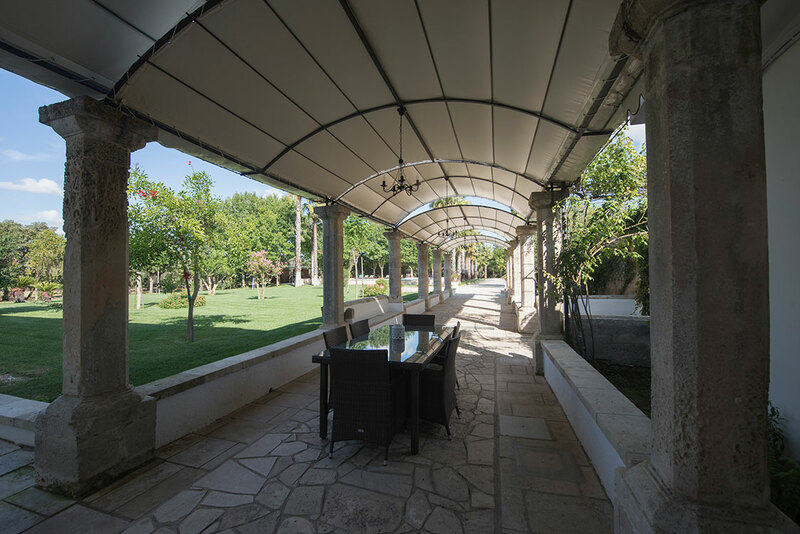 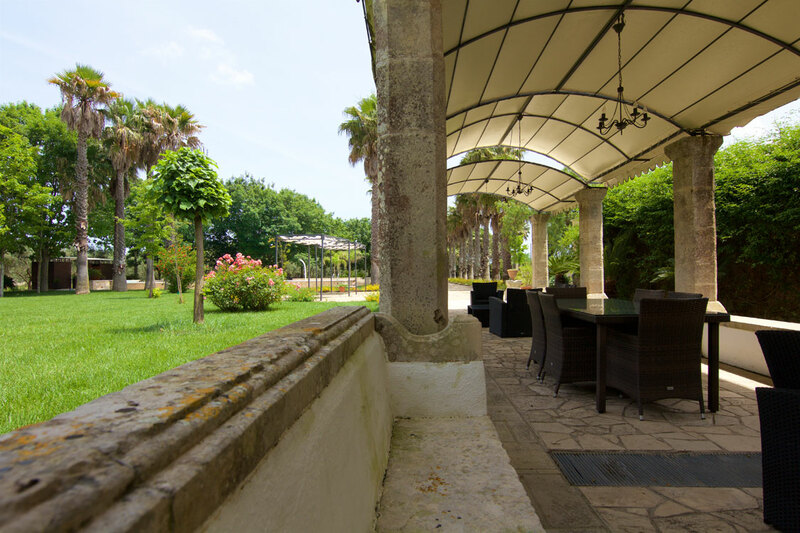 Relax in our marvelous structure immersed in the green of the Salento countryside, a few kilometers from the most famous tourist destinations of the Ionian and Adriatic seas. 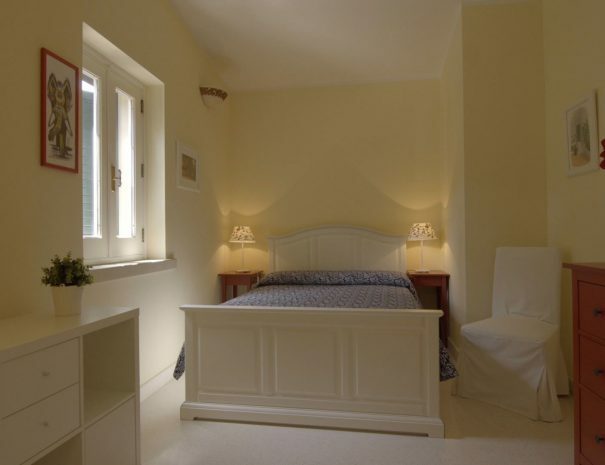 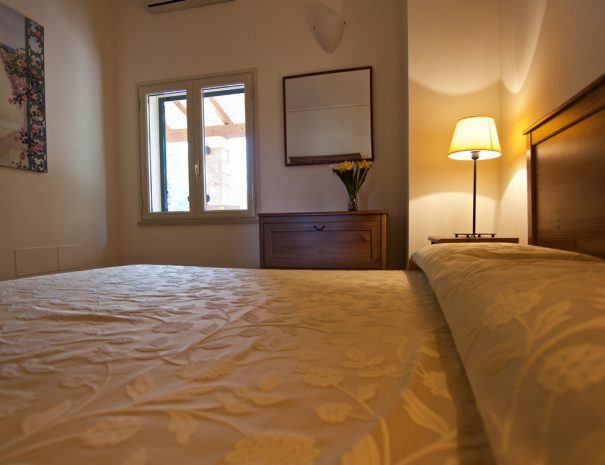 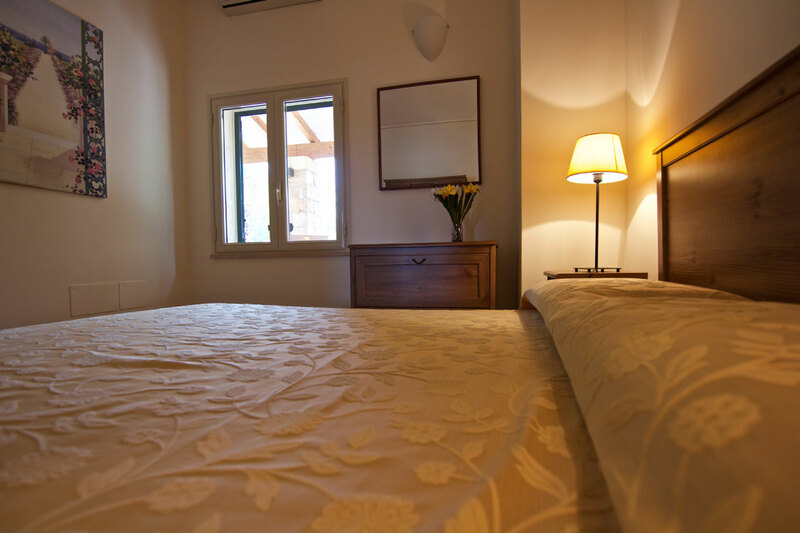 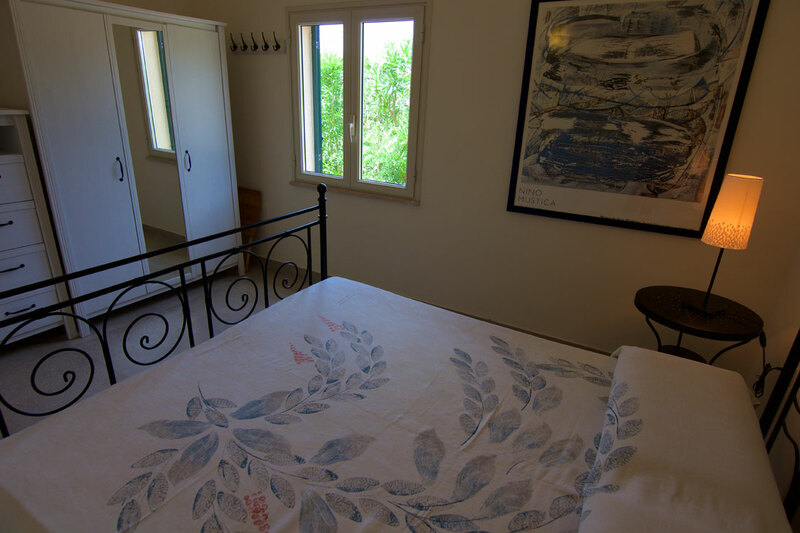 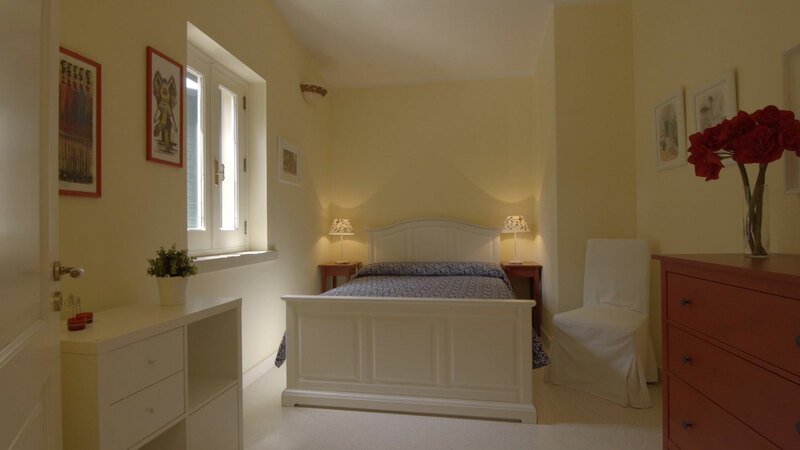 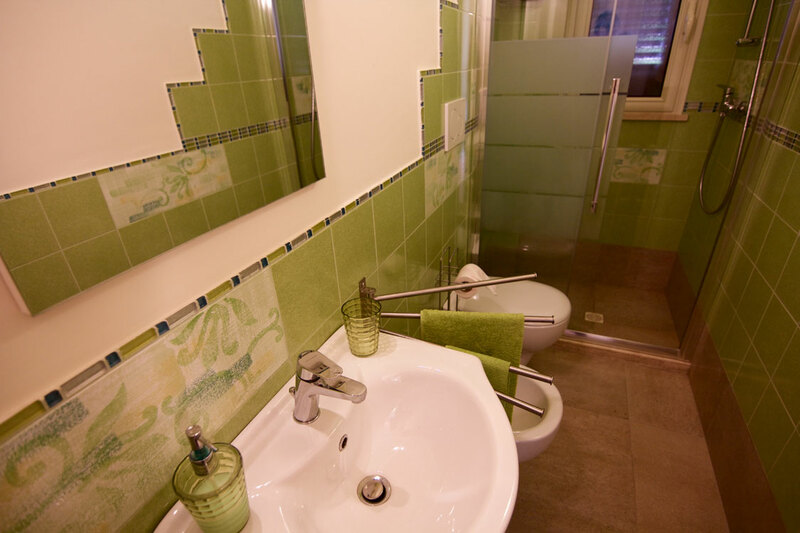 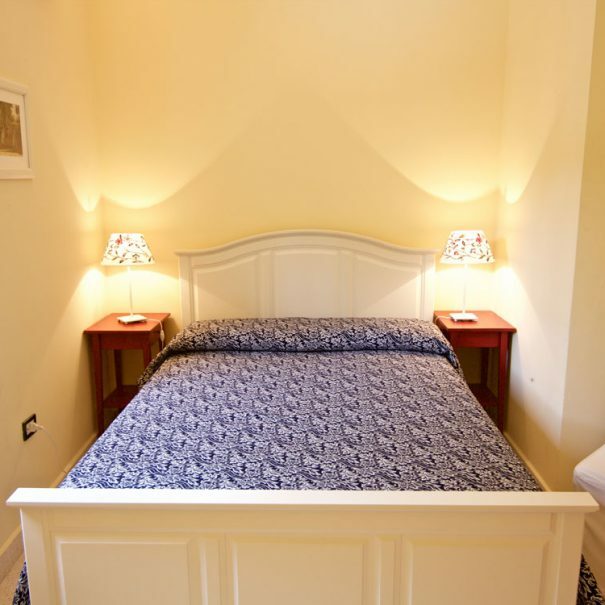 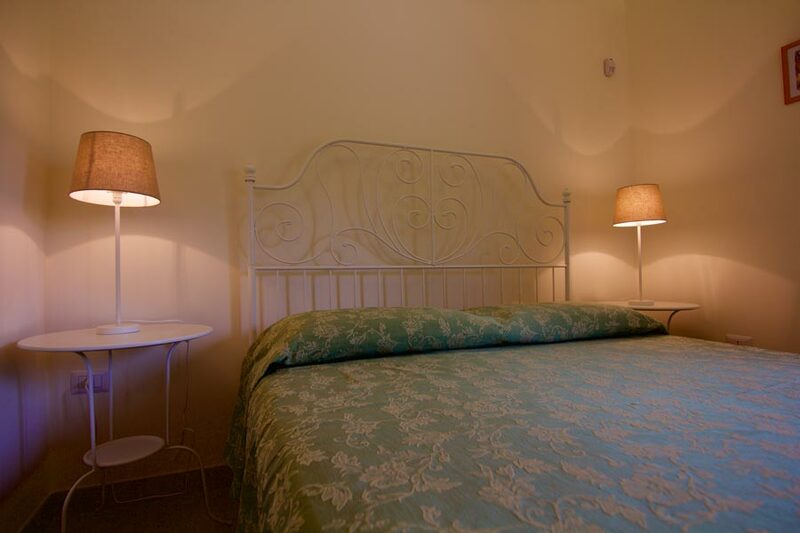 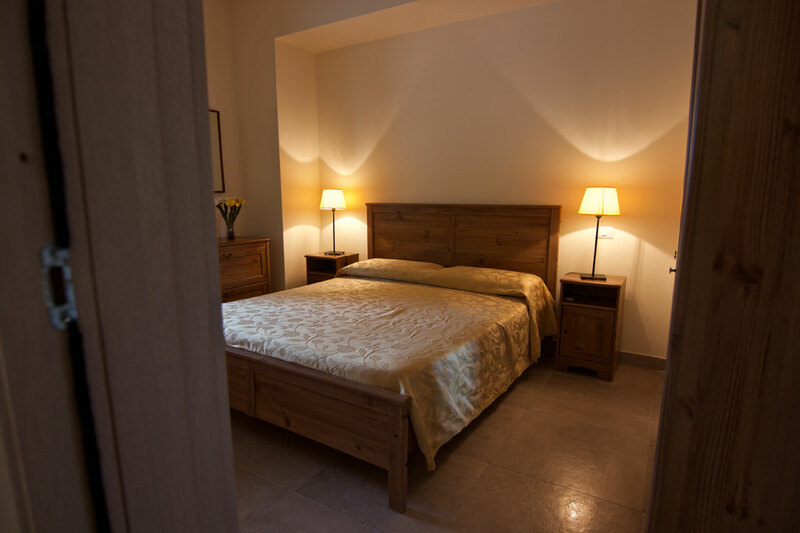 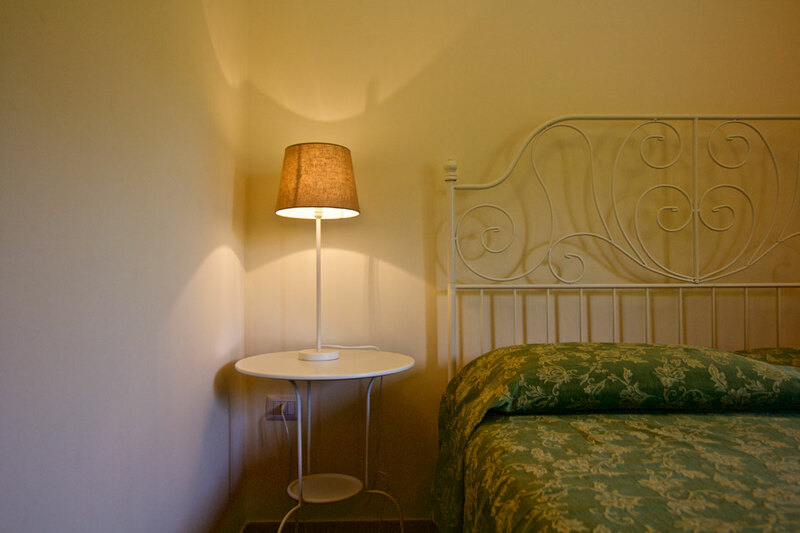 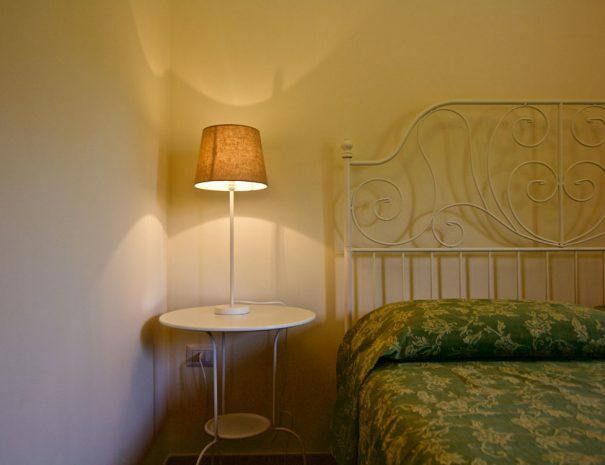 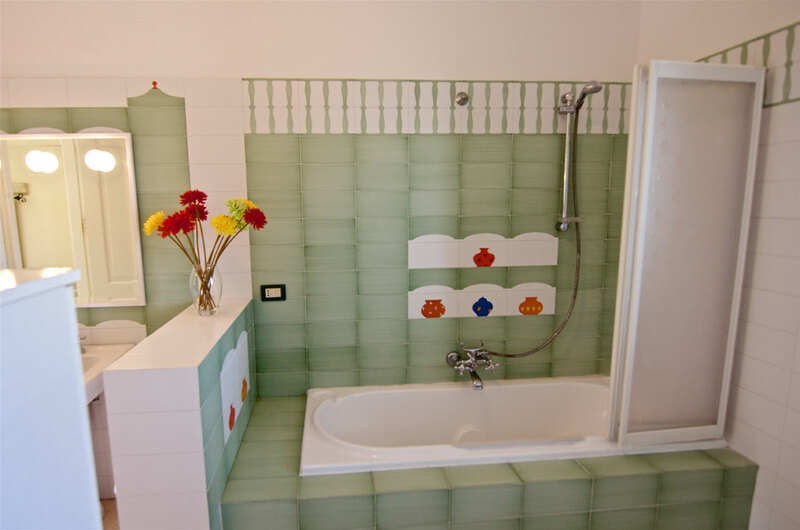 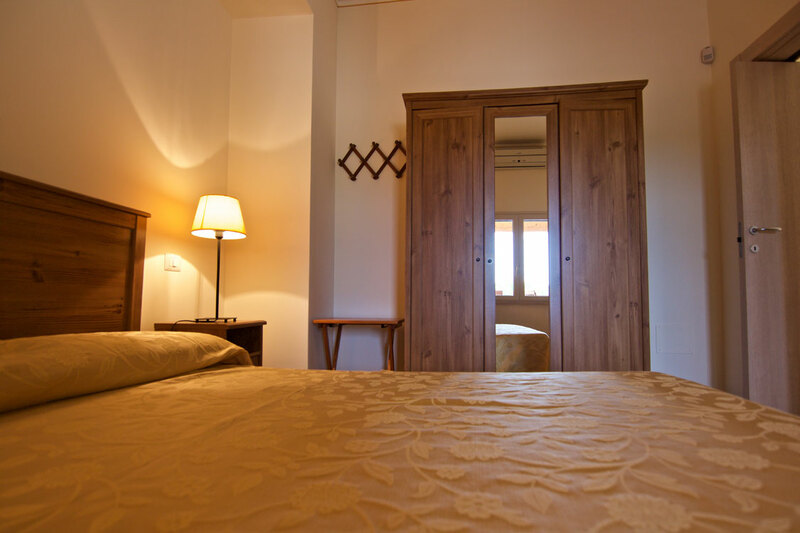 At Parco degli Aranci Bed and Breakfast you will find the ideal environment to spend a relaxing holiday in a cozy and familiar environment. 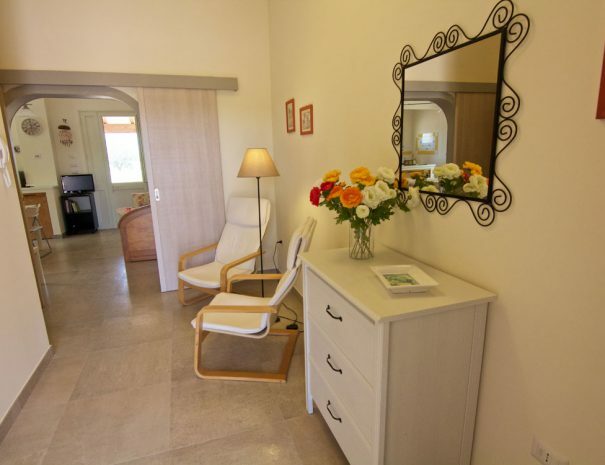 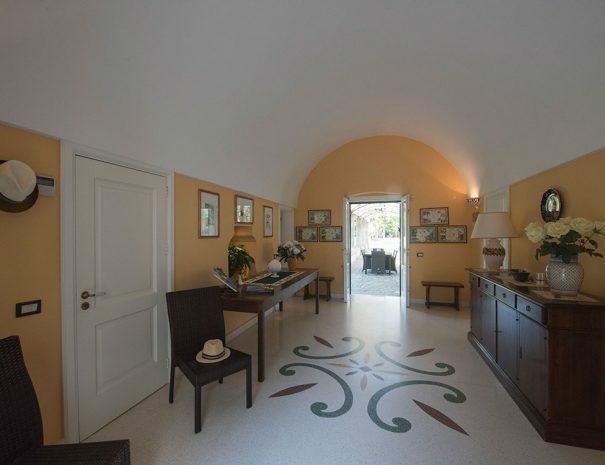 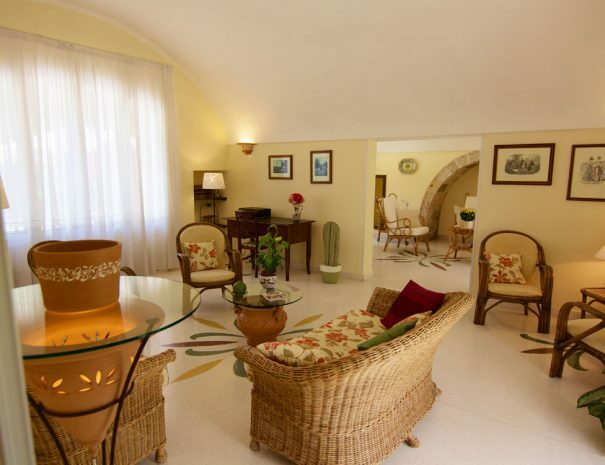 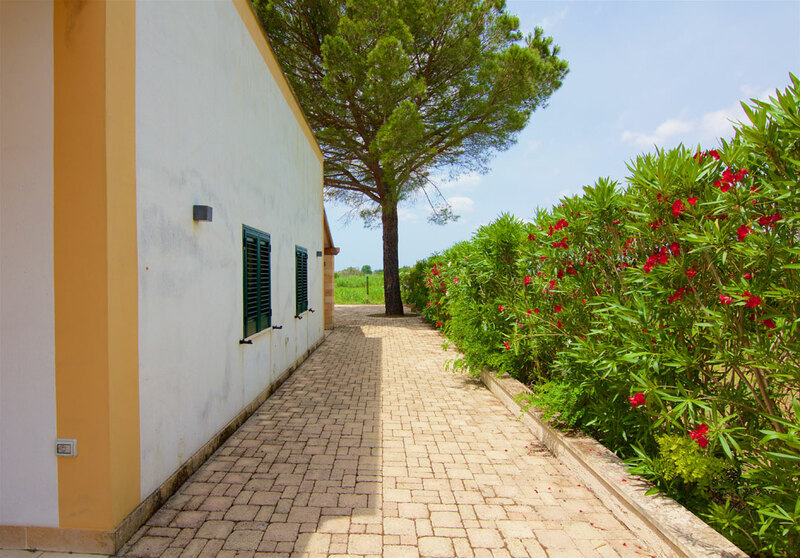 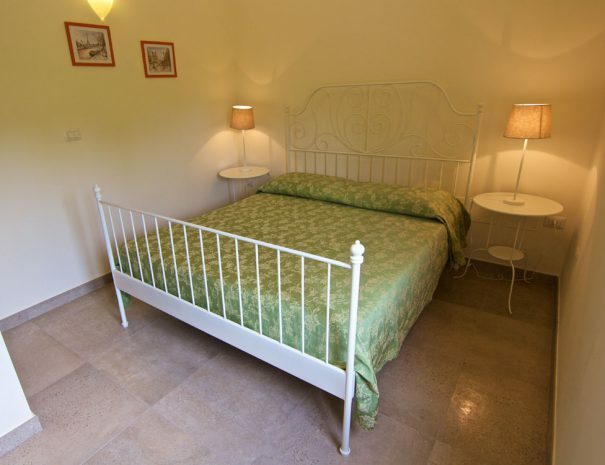 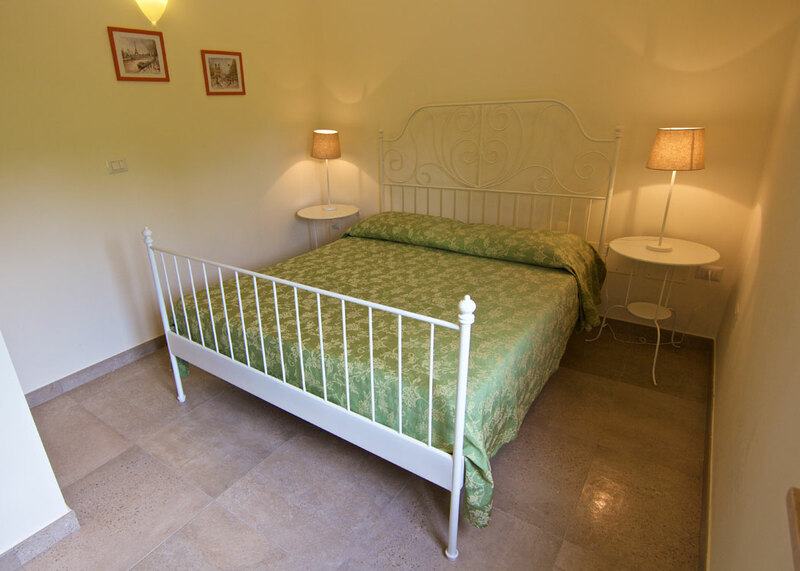 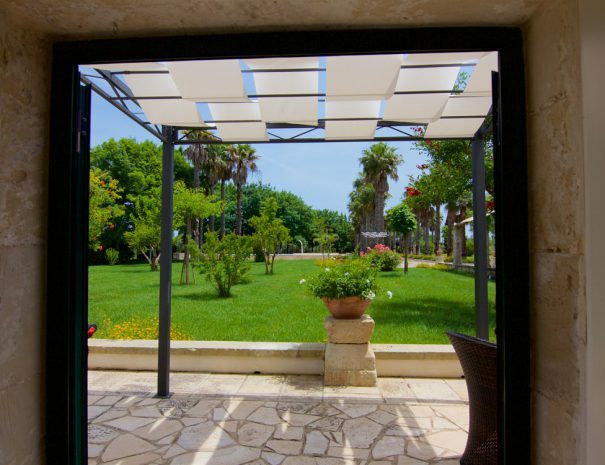 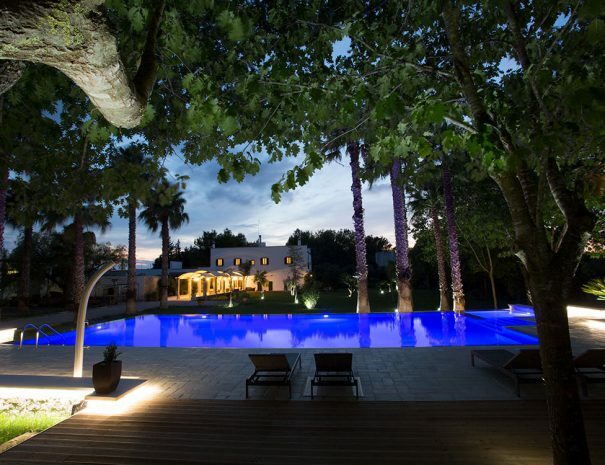 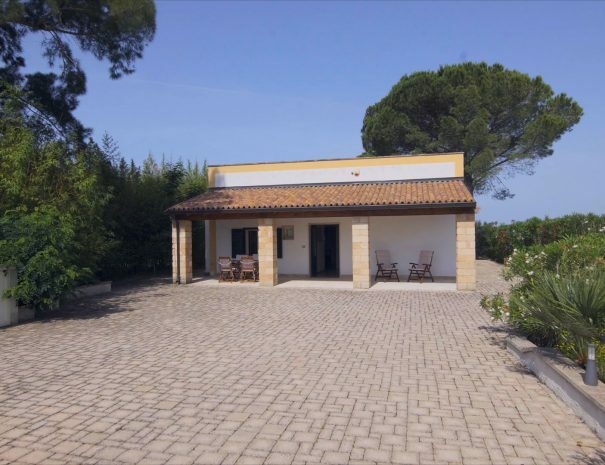 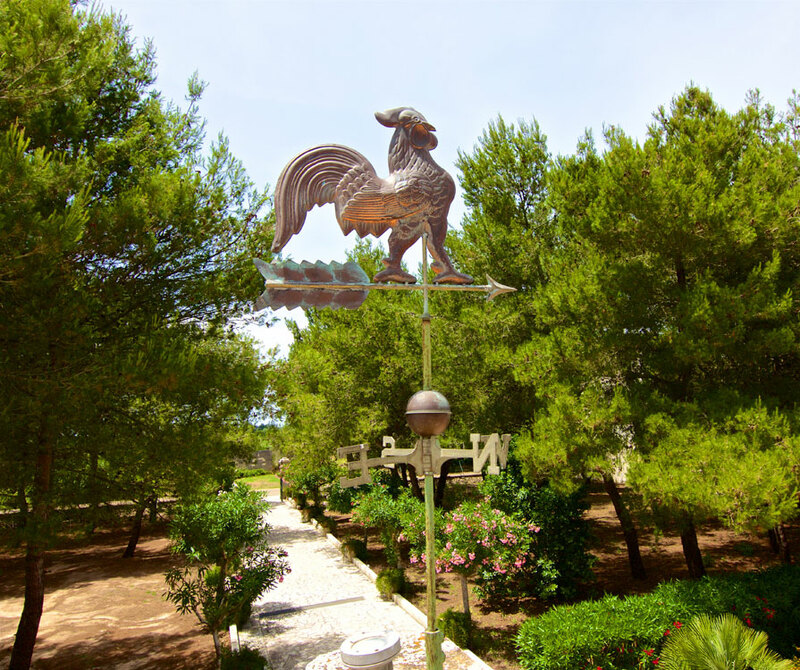 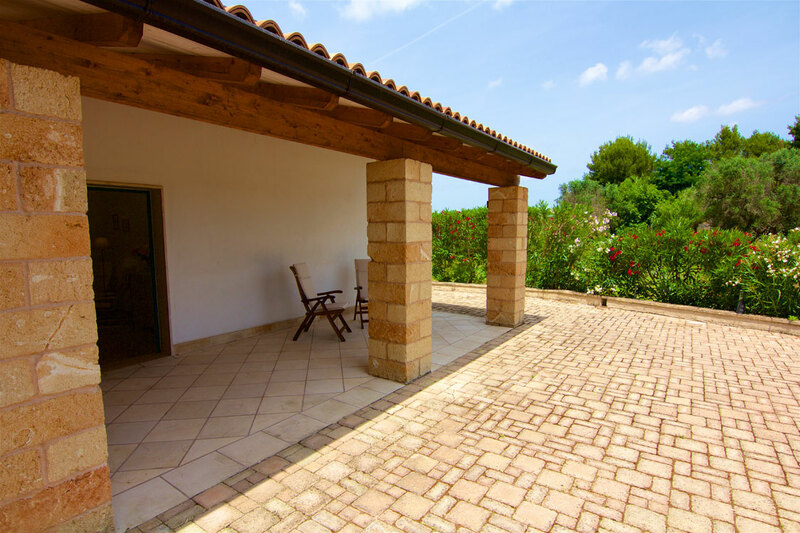 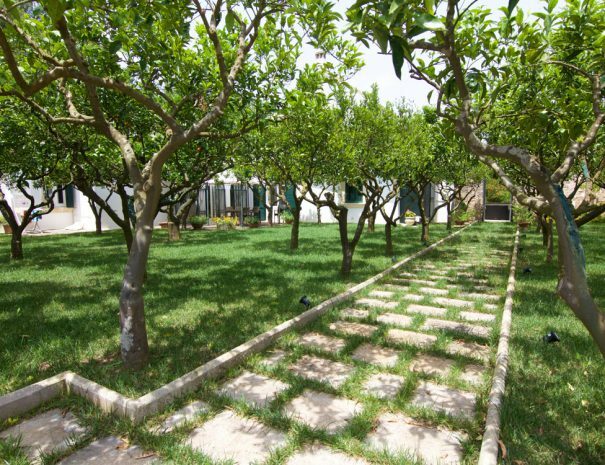 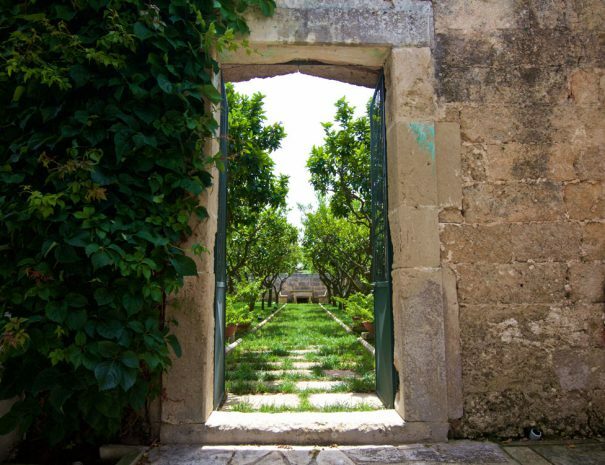 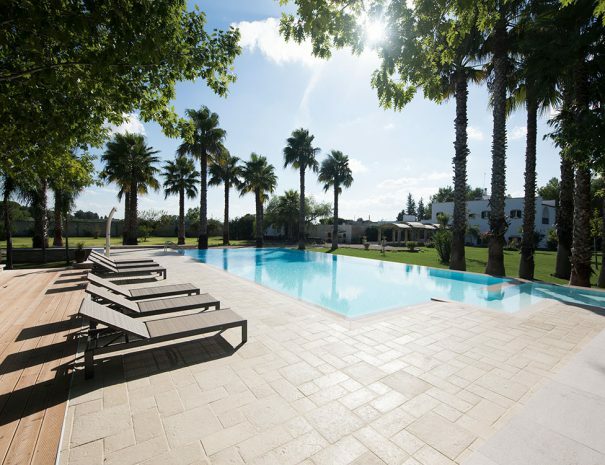 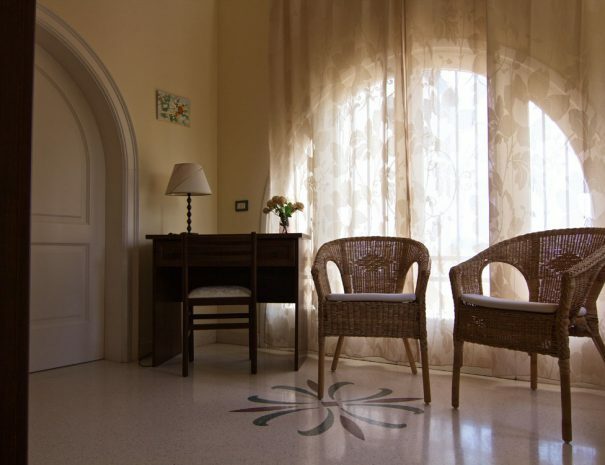 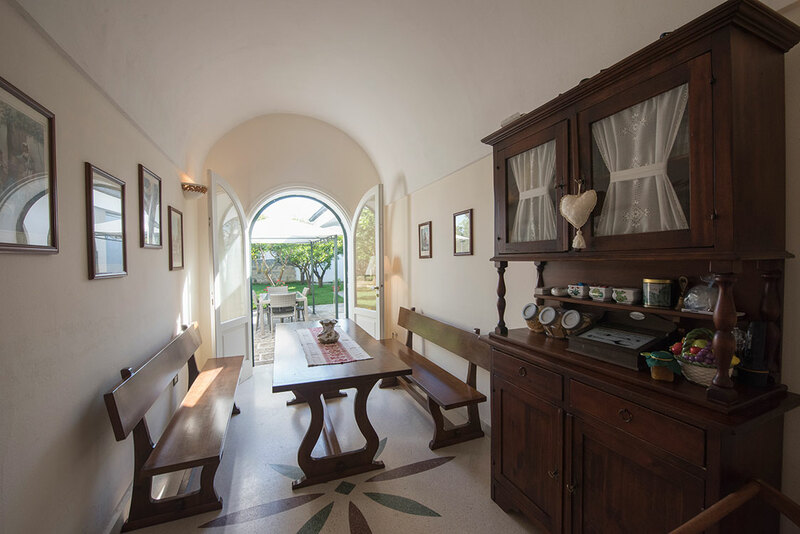 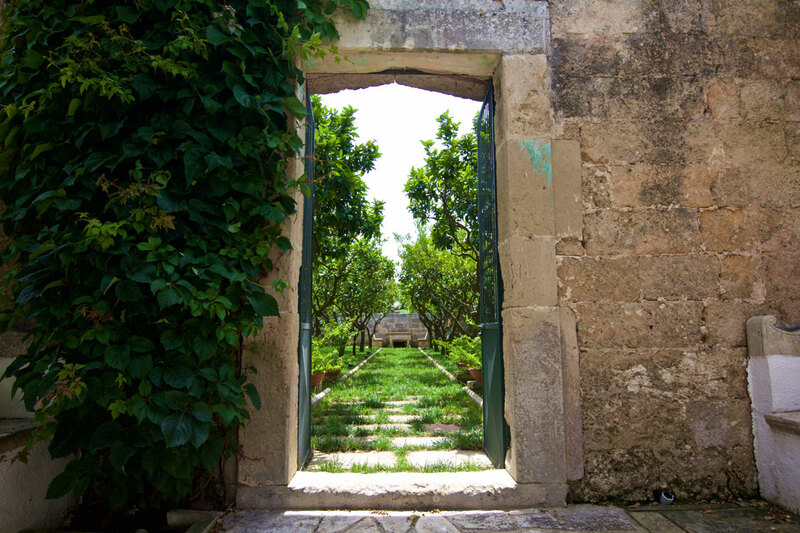 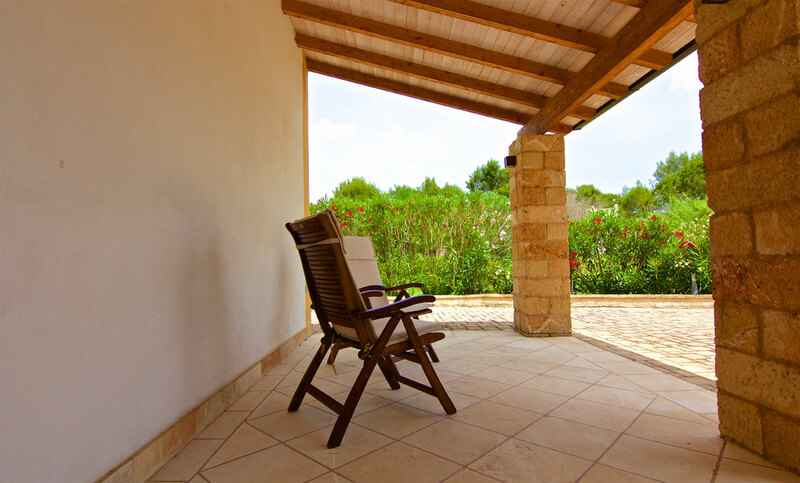 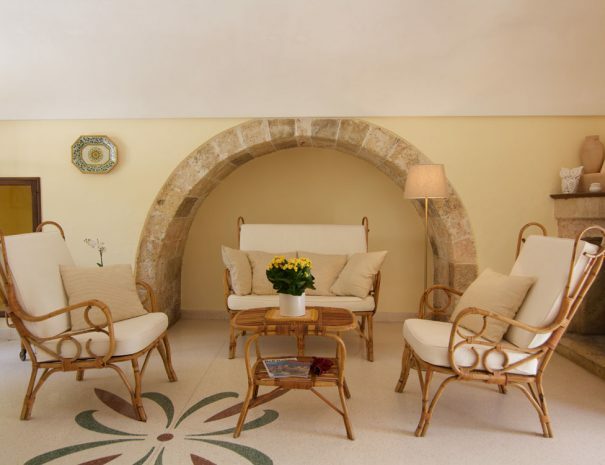 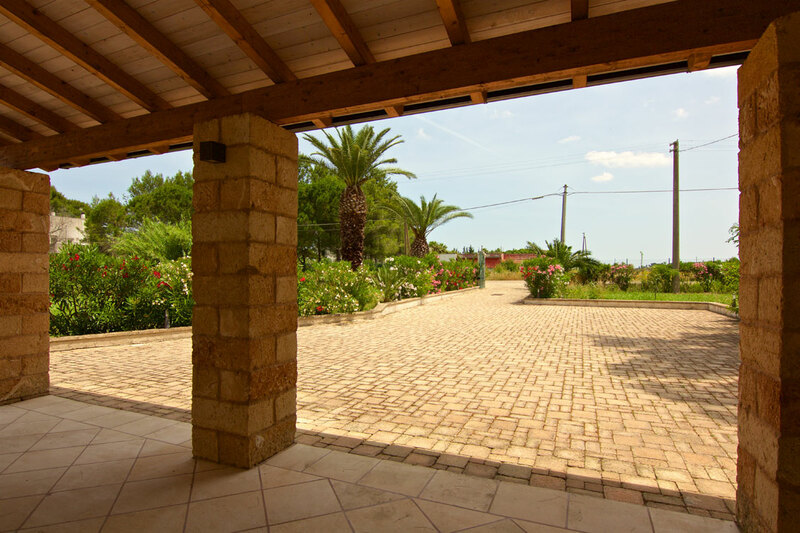 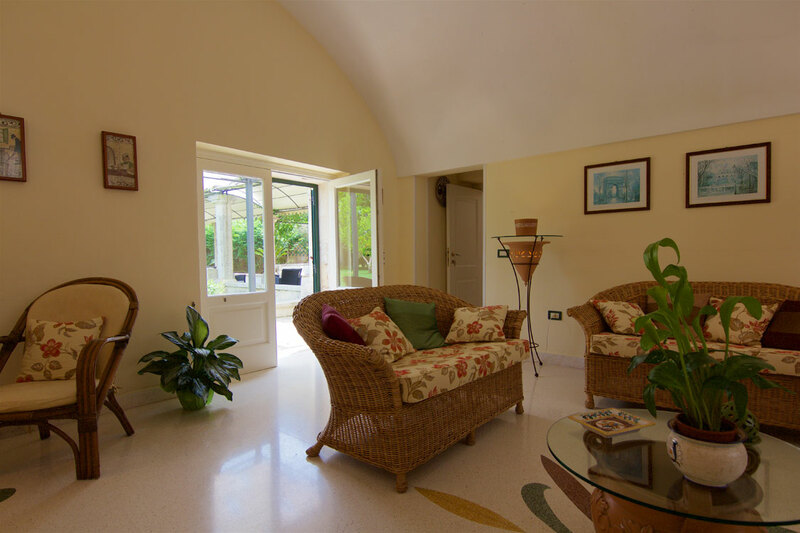 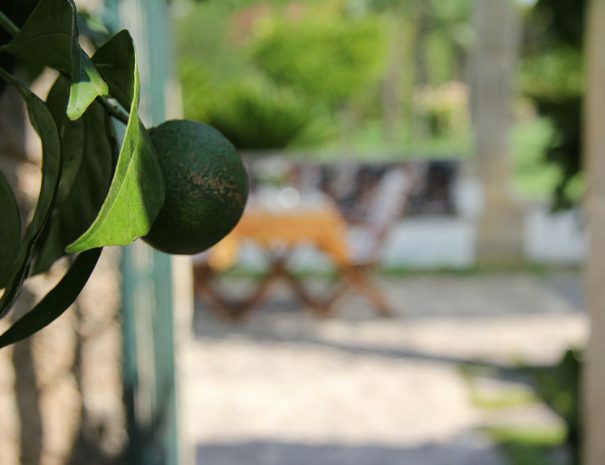 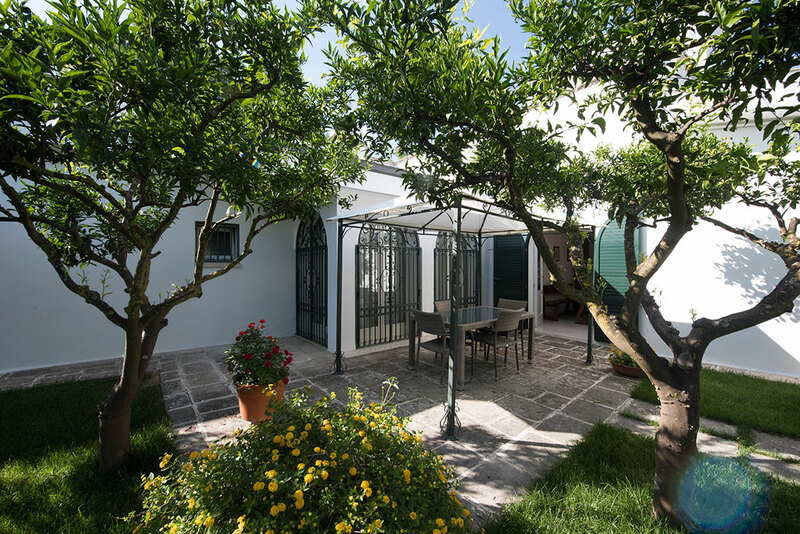 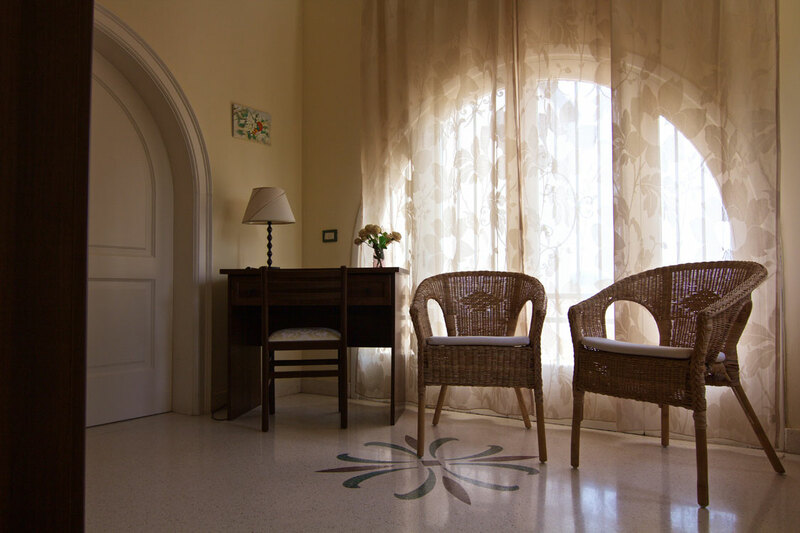 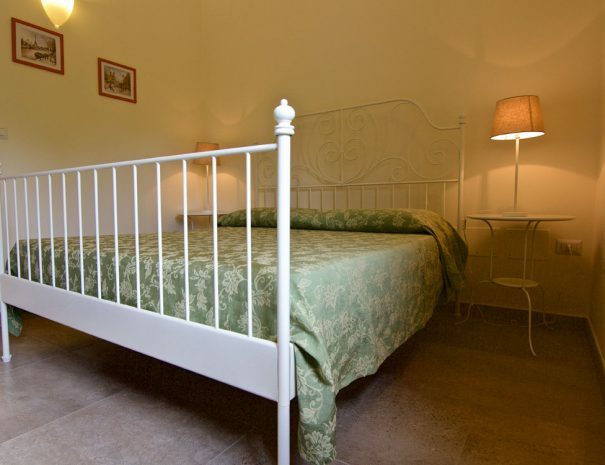 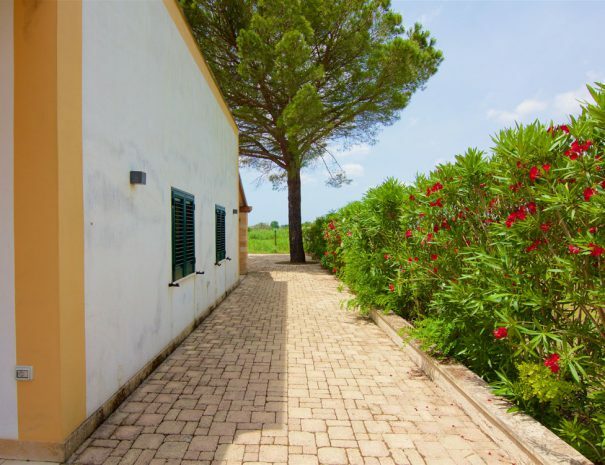 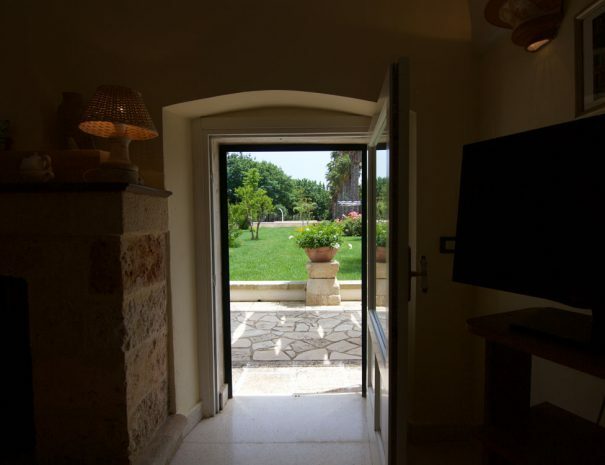 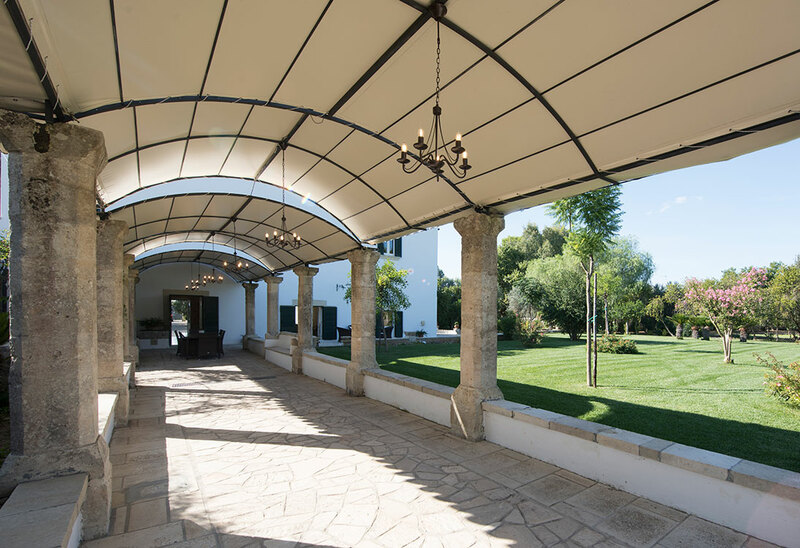 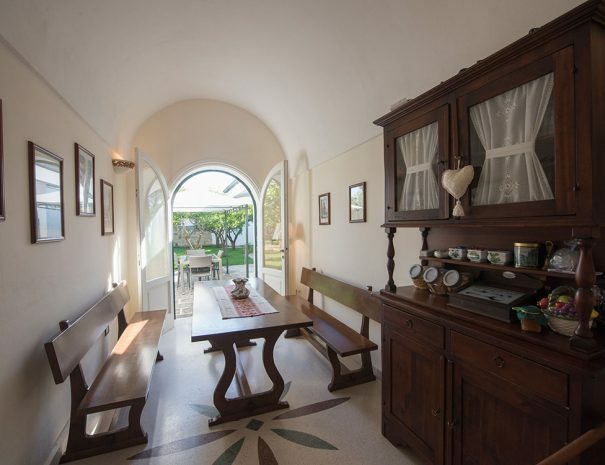 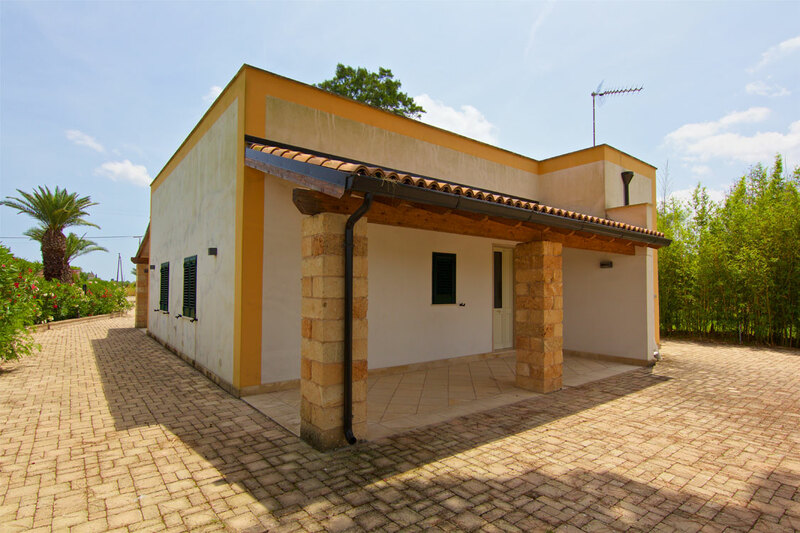 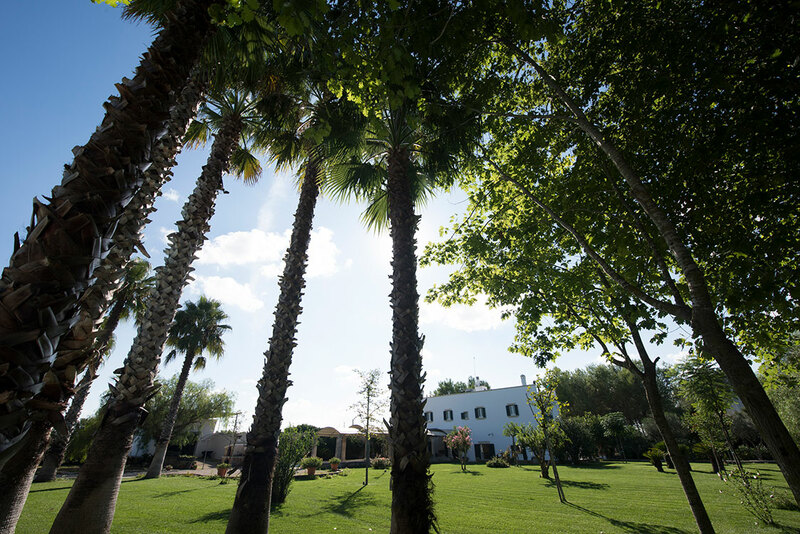 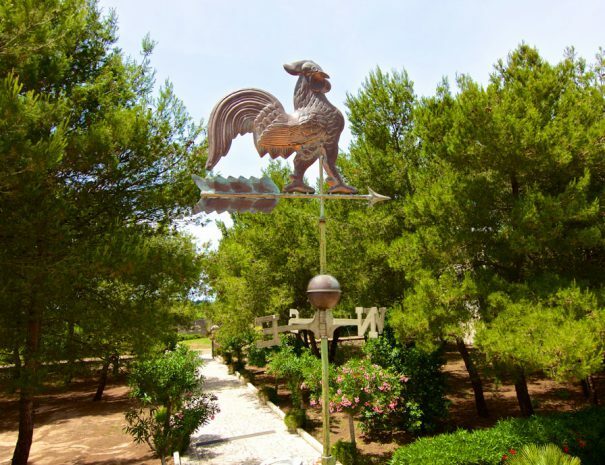 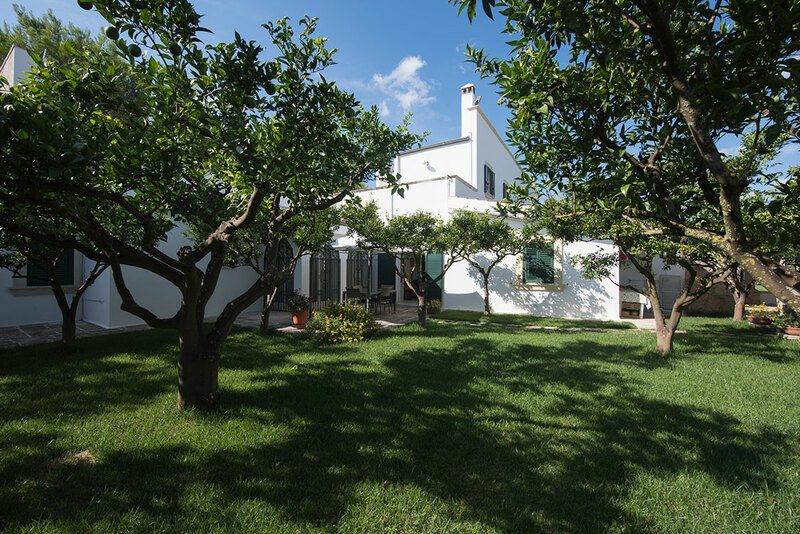 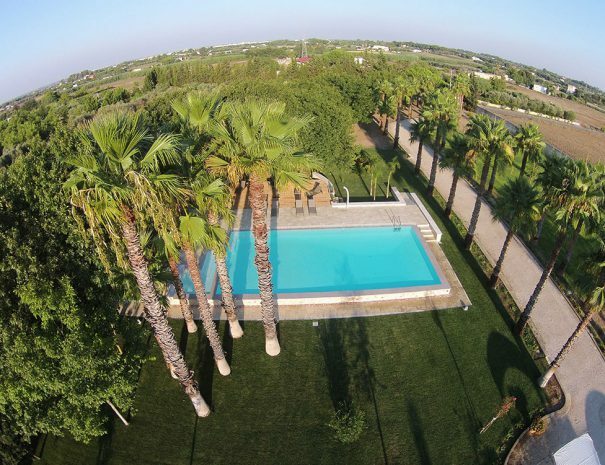 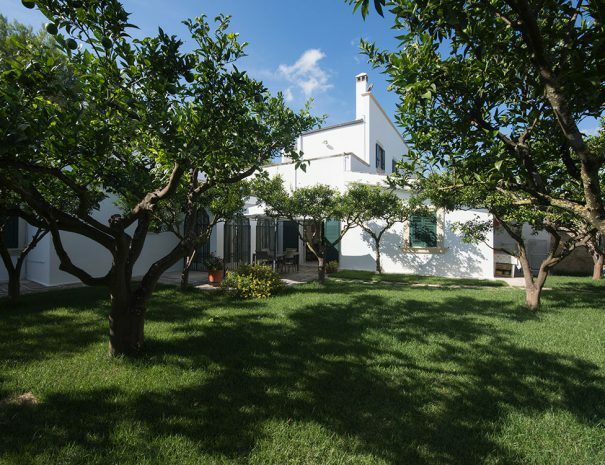 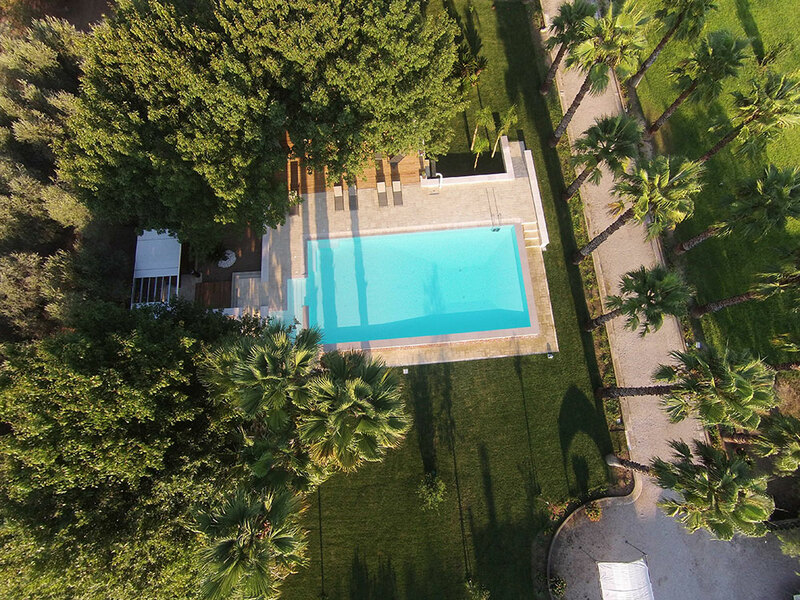 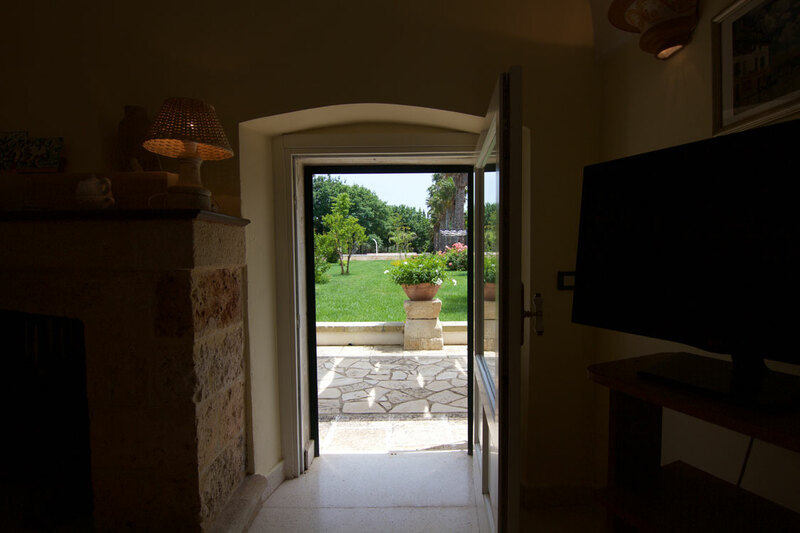 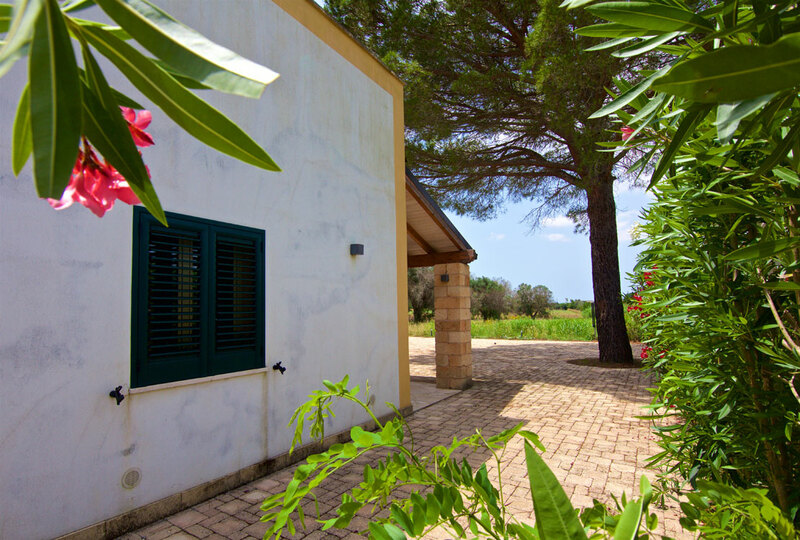 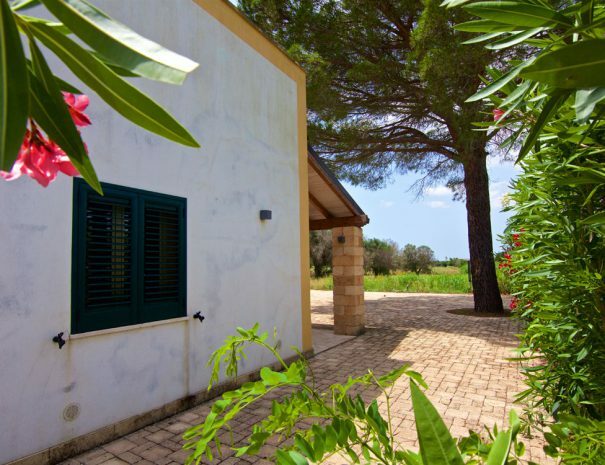 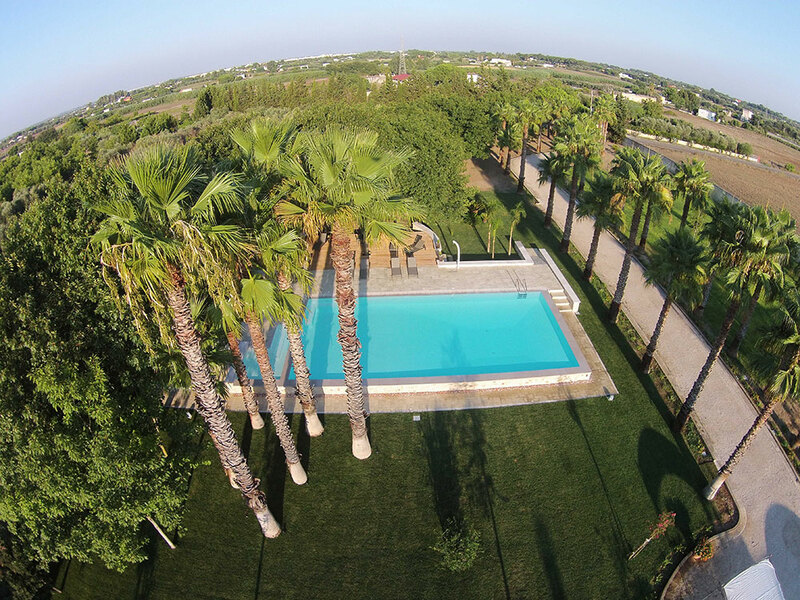 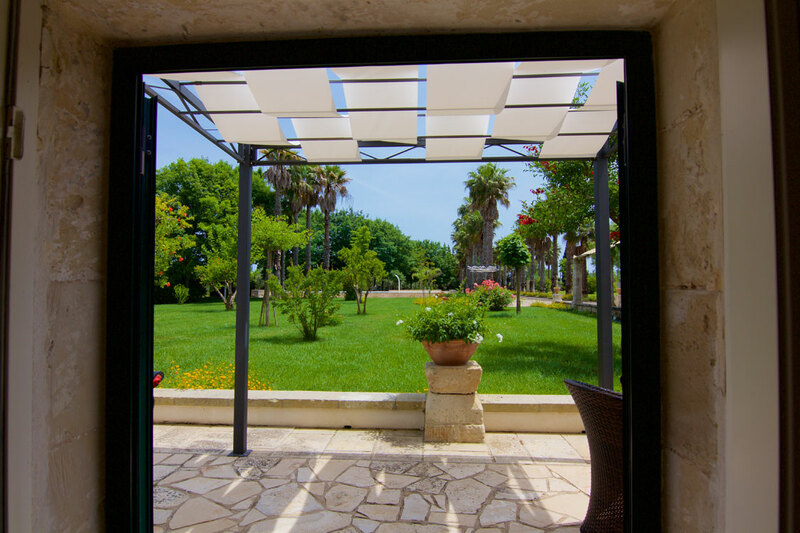 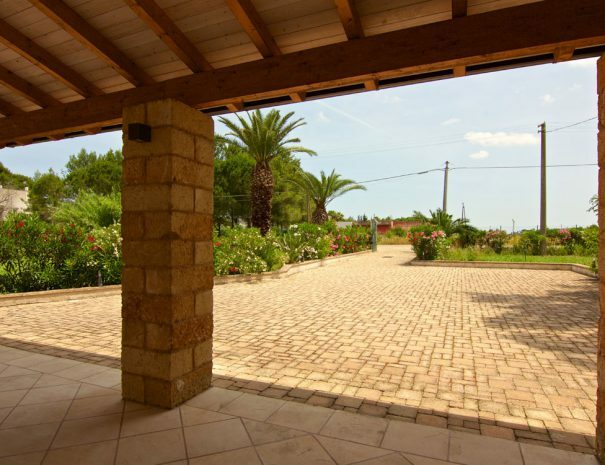 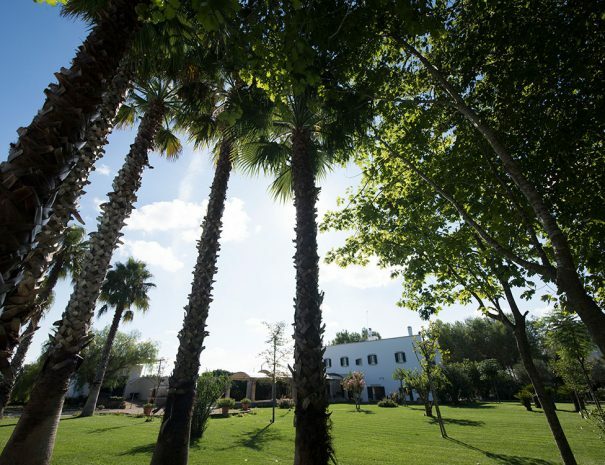 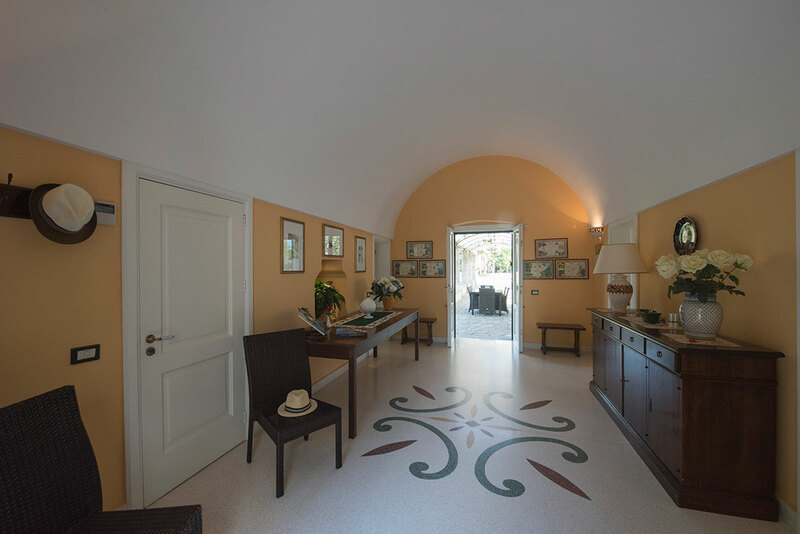 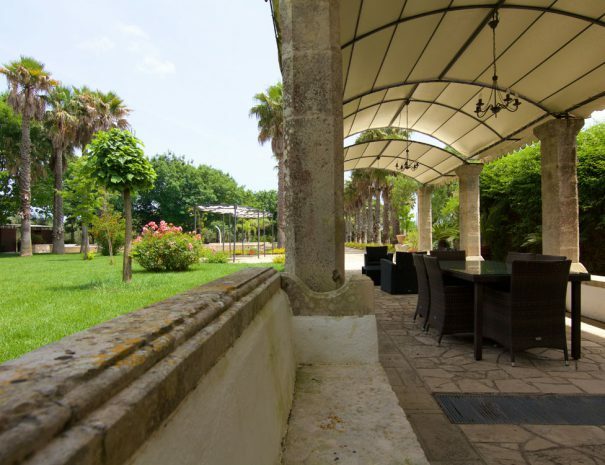 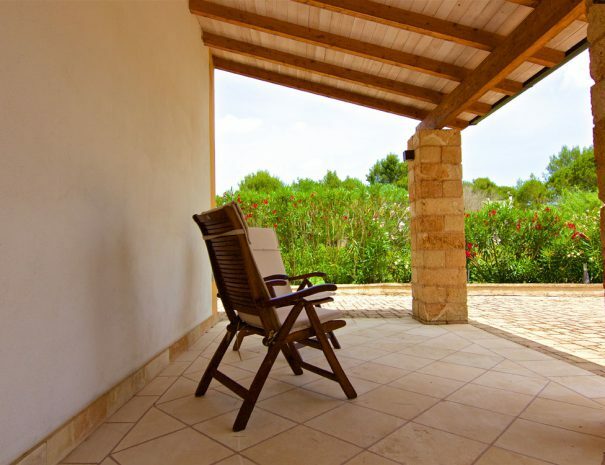 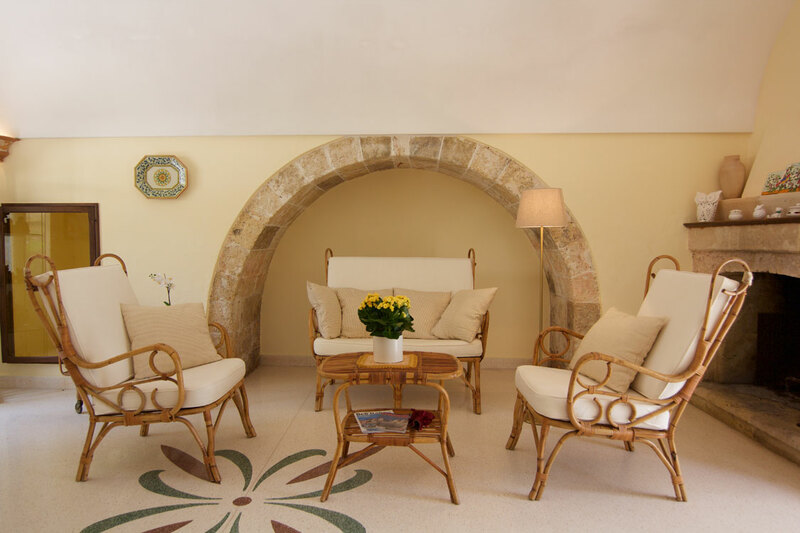 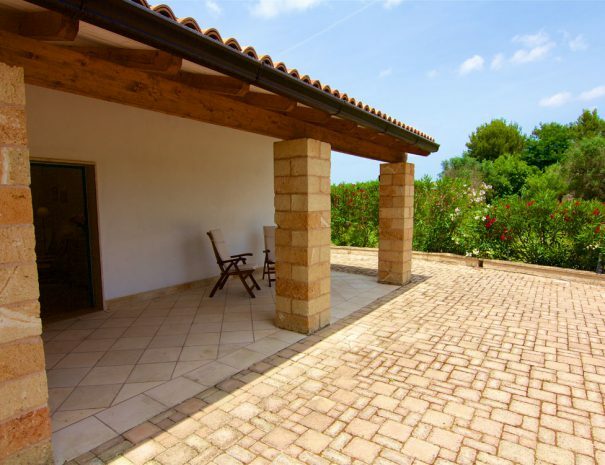 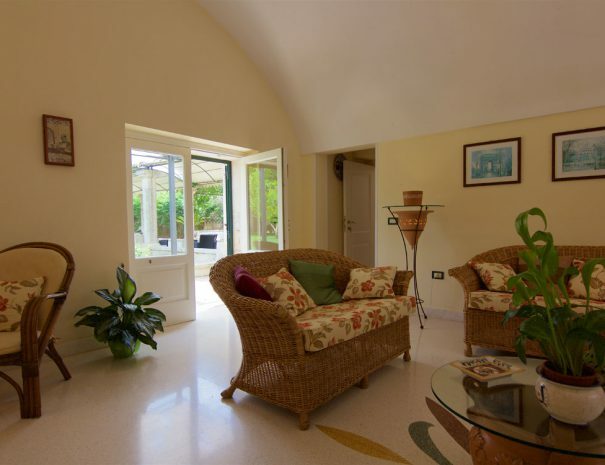 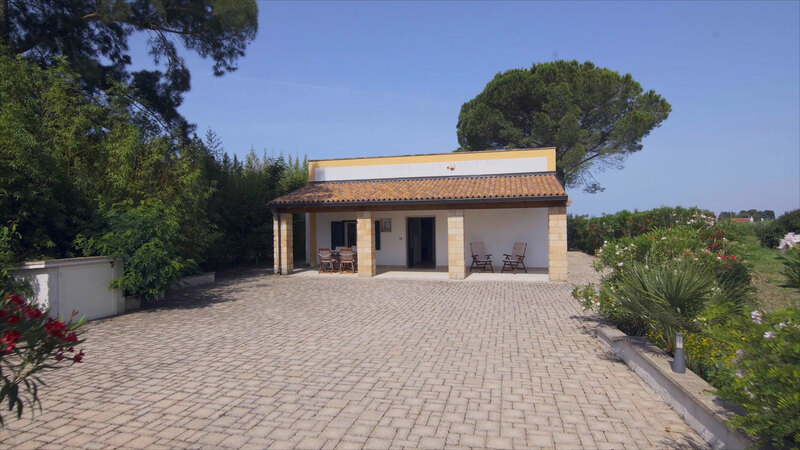 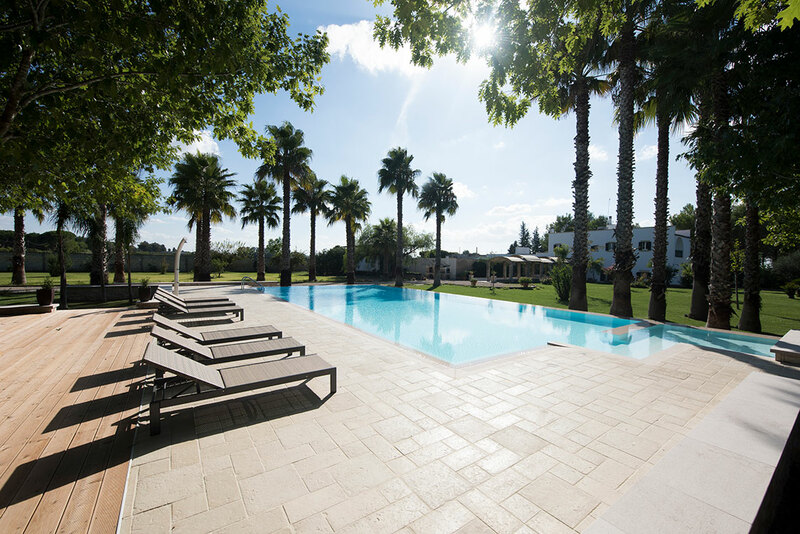 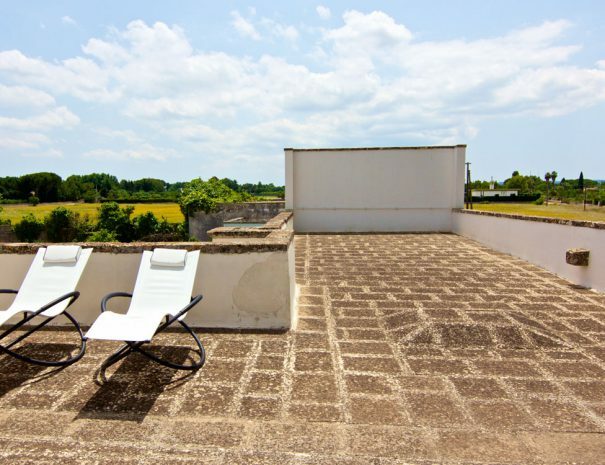 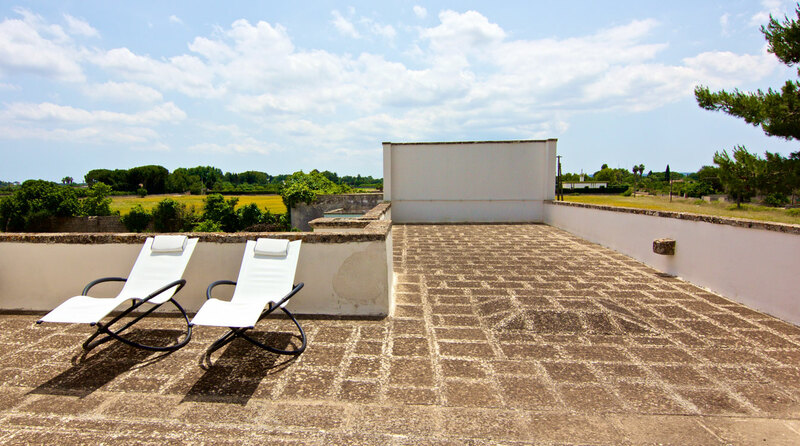 Imagine being in a fabulous typical Salento farmhouse of the 18th century with a delightful private chapel, all surrounded by a large park with lawn and Mediterranean vegetation. 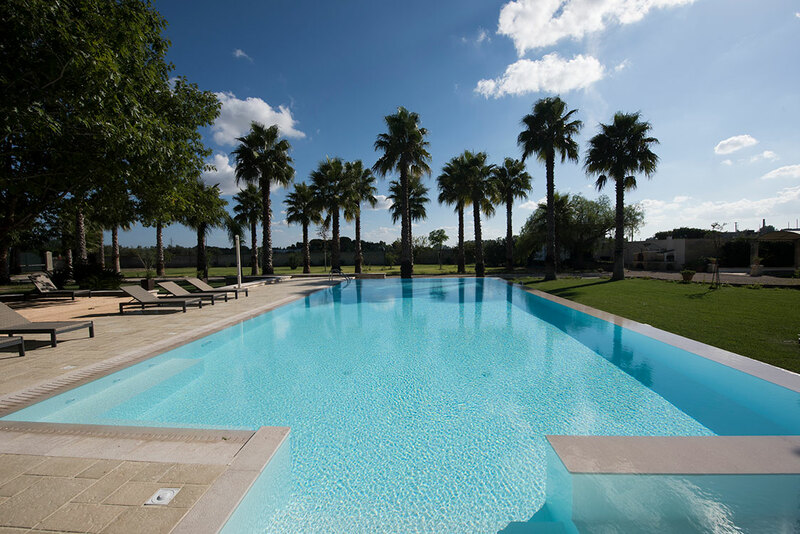 You can dive into our beautiful saltwater infinity pool, relax with the whirlpool, or enjoy the sun in the large solarium. 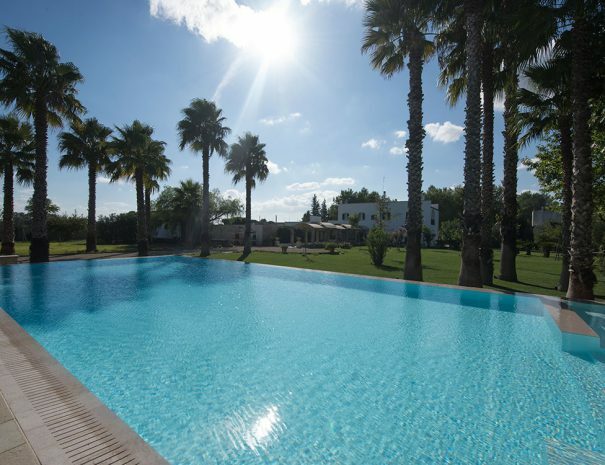 These will be unforgettable moments of pure relaxation. 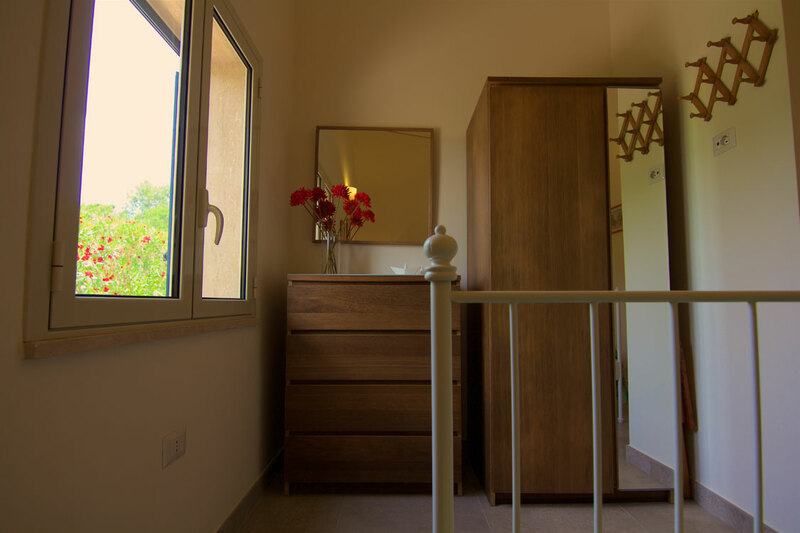 Your room will be discretely located upstairs, offering you an enchanting view, but at any time you can go downstairs in the common rooms, to enjoy a moment of relaxation in the TV room, or surf the internet in the living room, or enjoy the our great breakfast in the dining room. 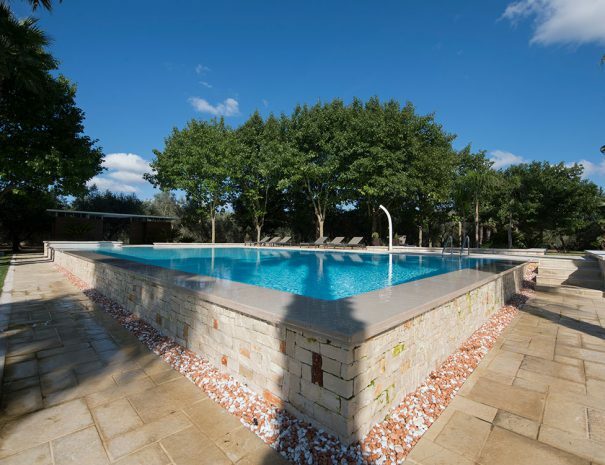 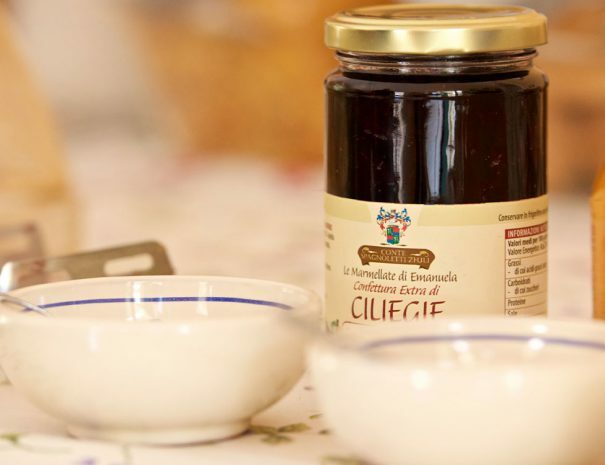 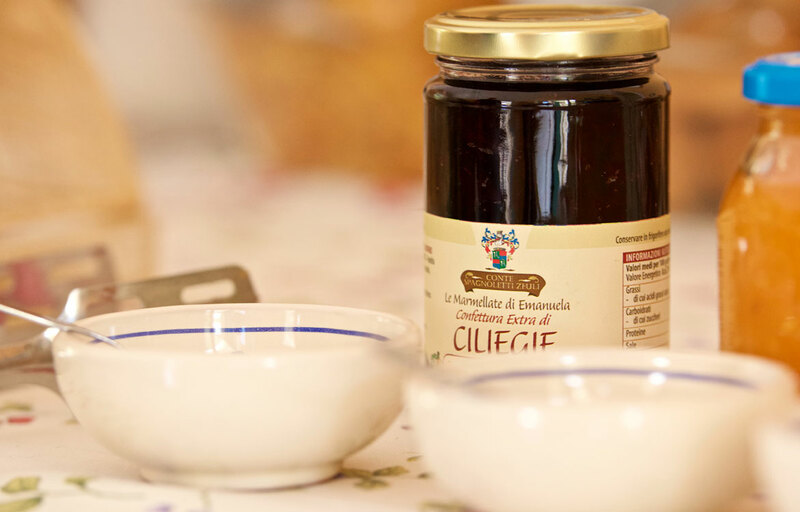 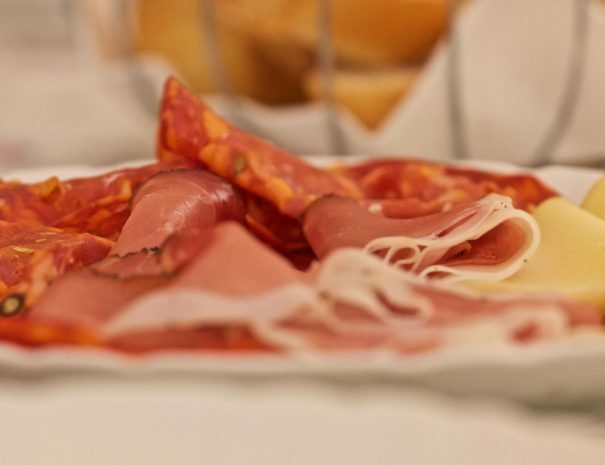 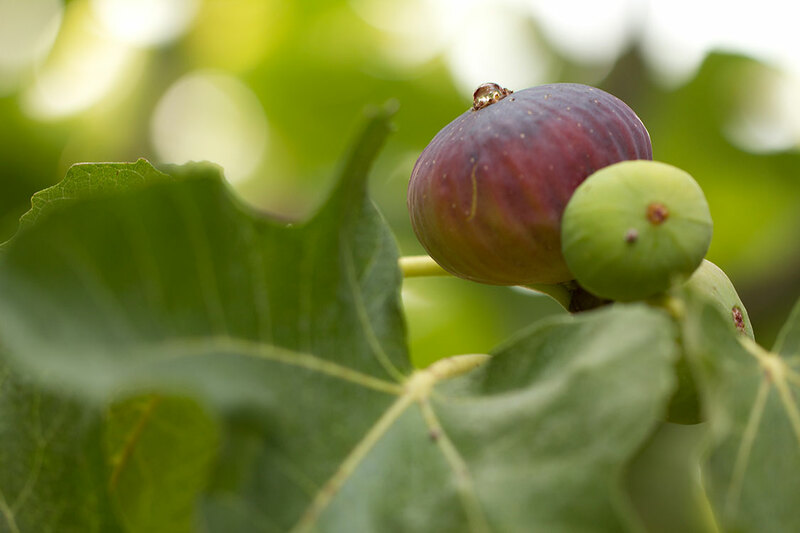 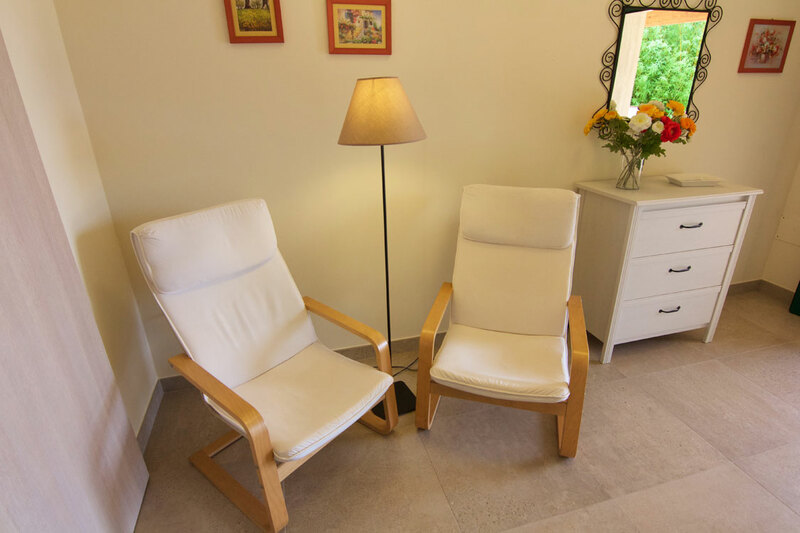 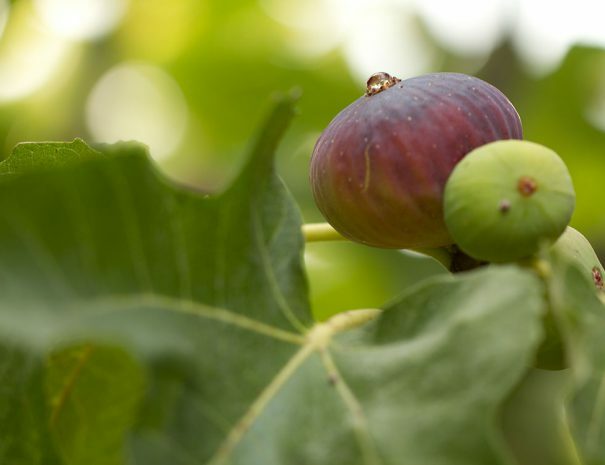 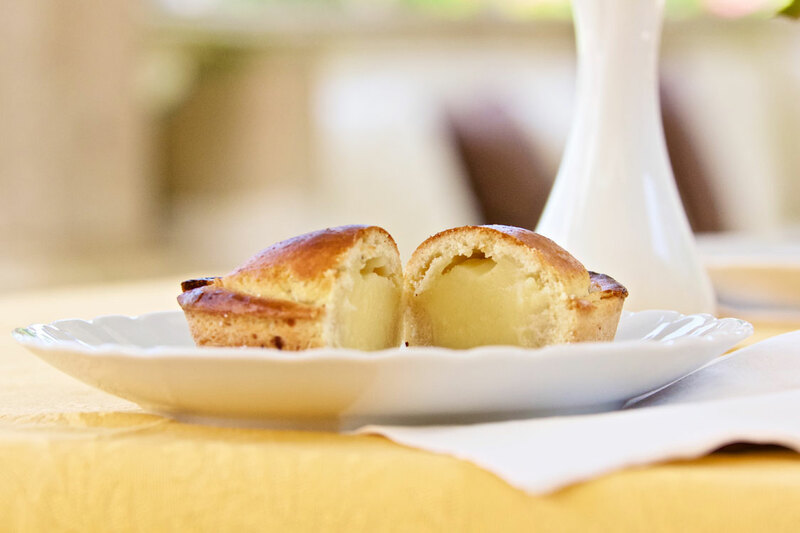 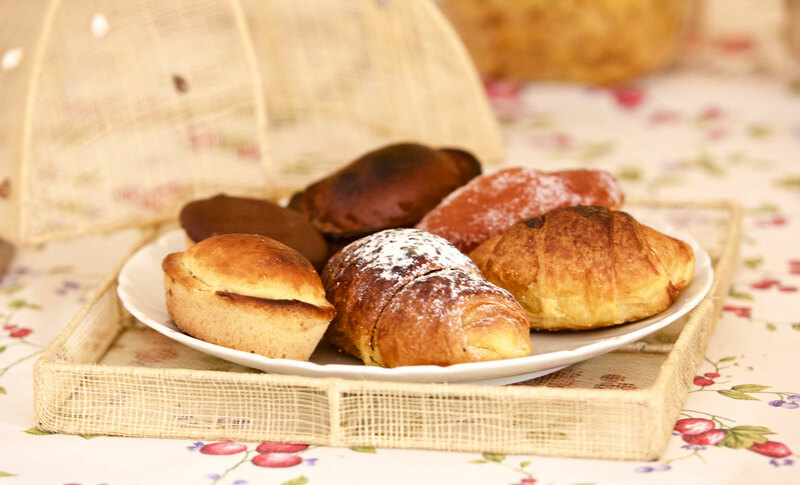 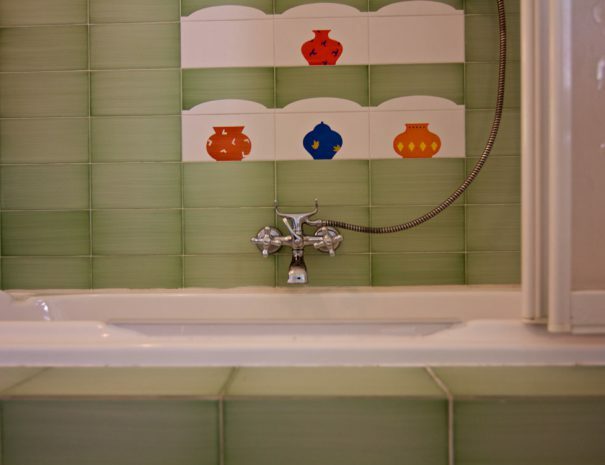 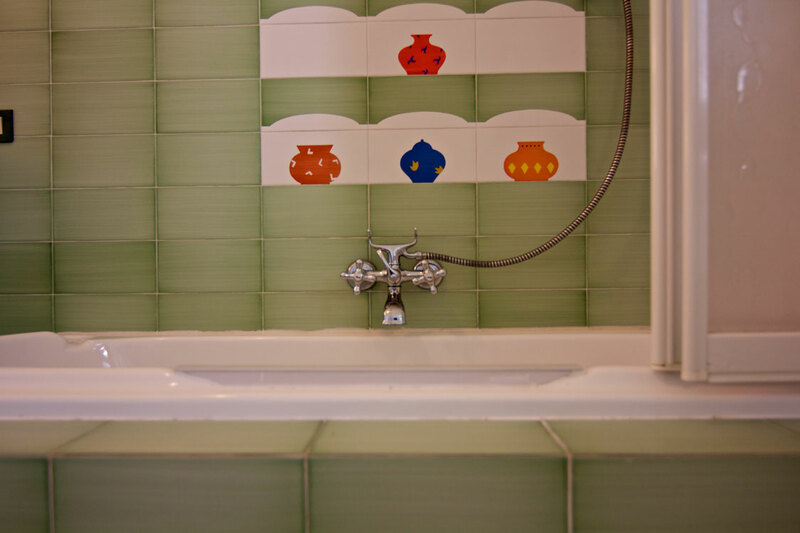 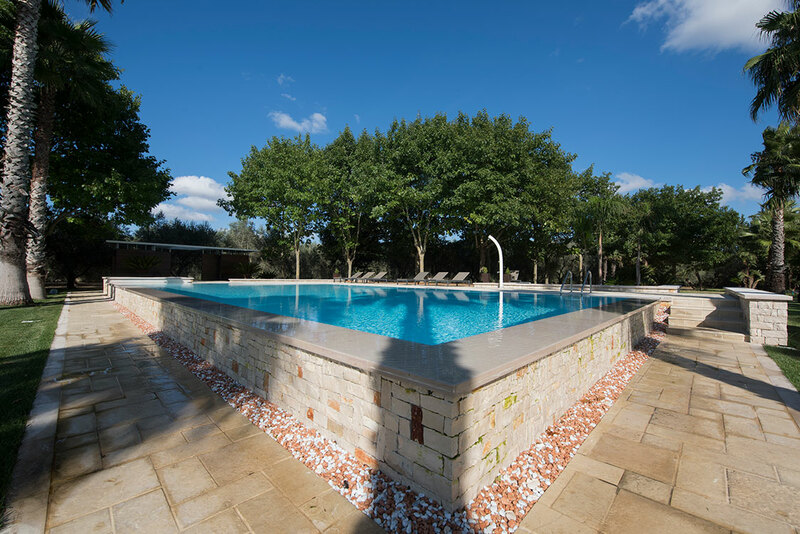 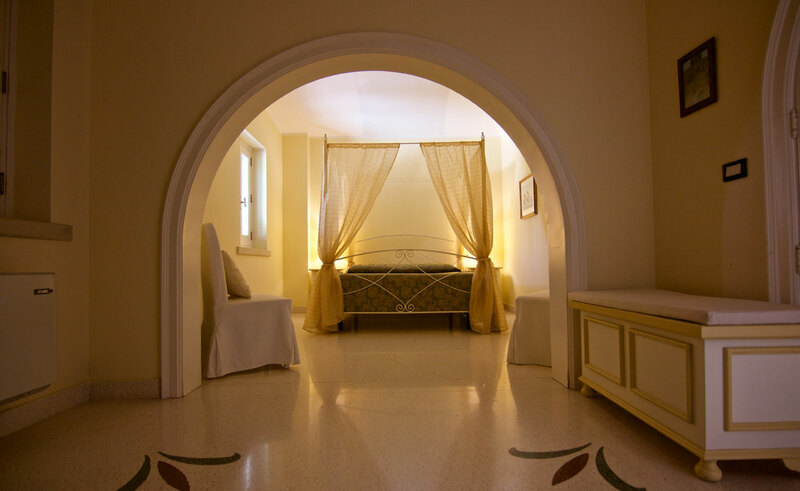 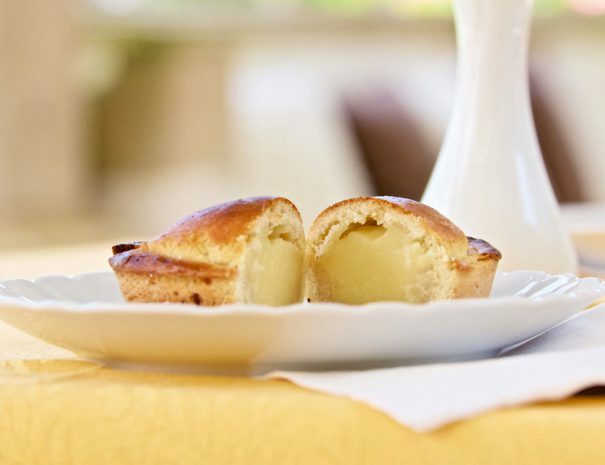 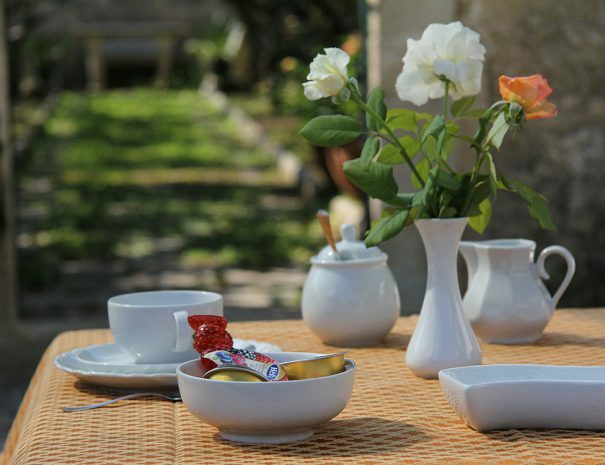 At the Parco degli Aranci for over thirteen years we interpret at best the philosophy of the English b&b, pampering our guests as members of the family. 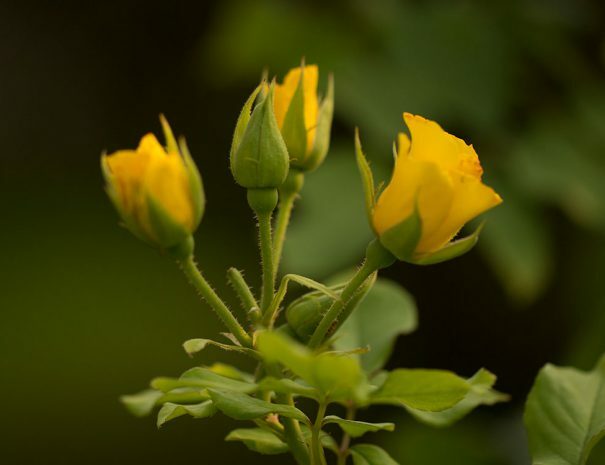 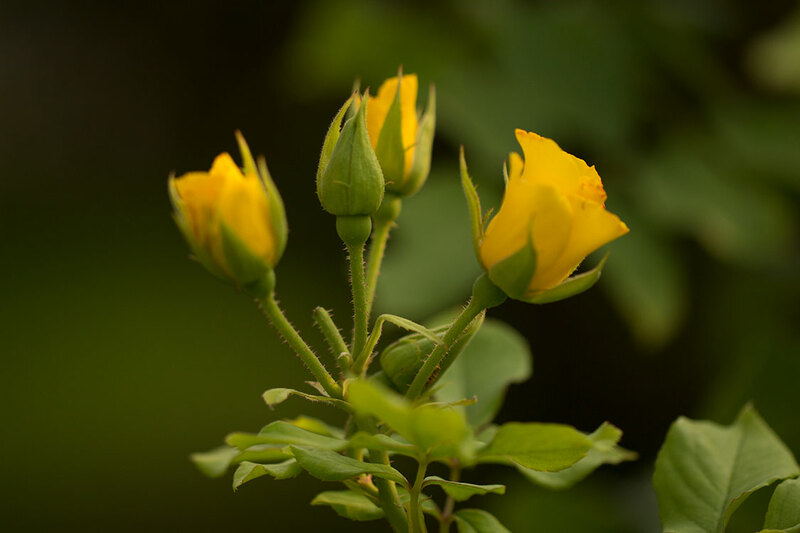 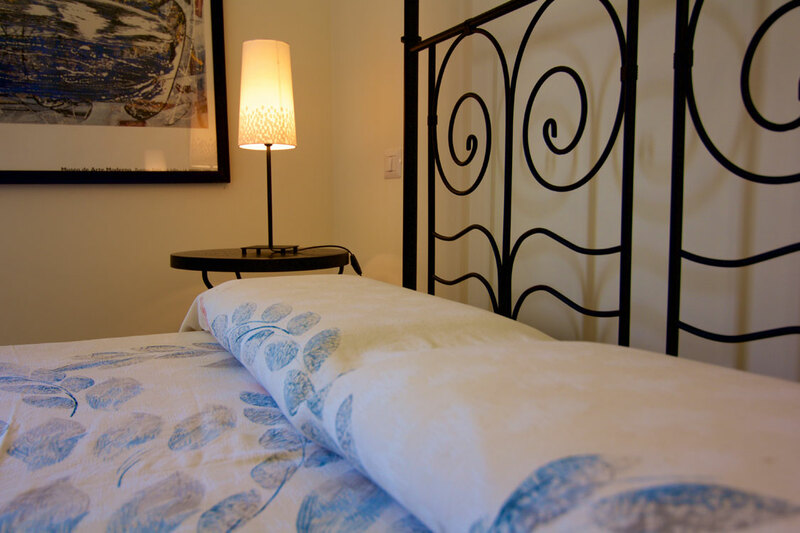 Let us know your needs and we will host you in one of our three comfortable accommodations. 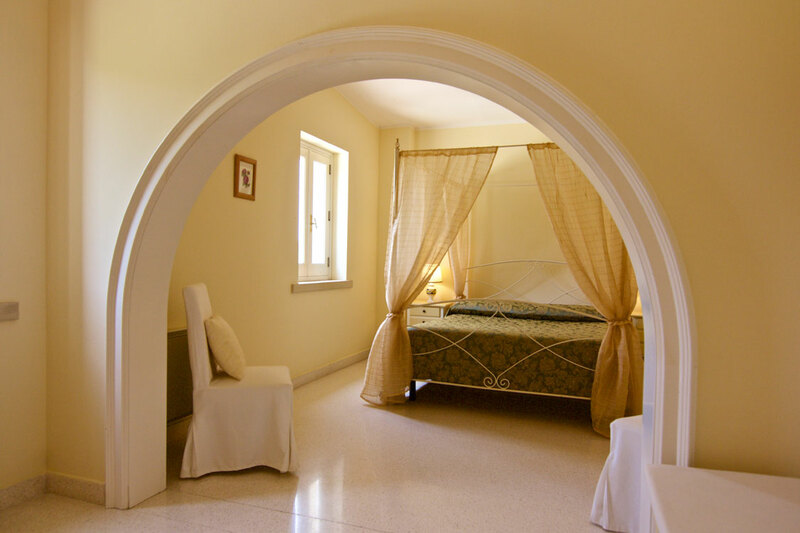 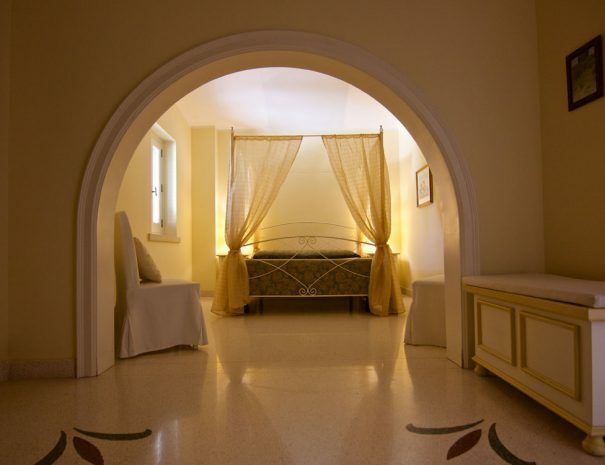 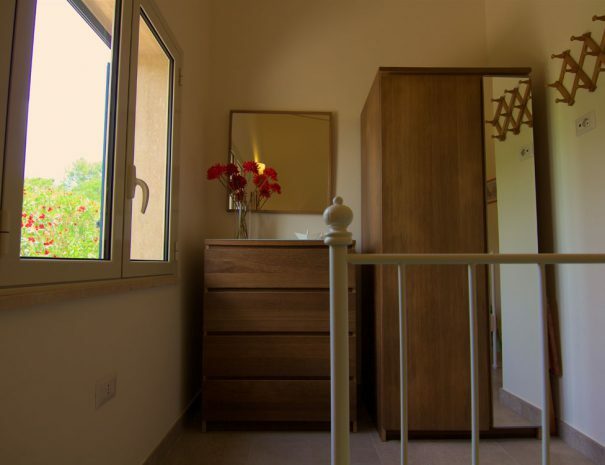 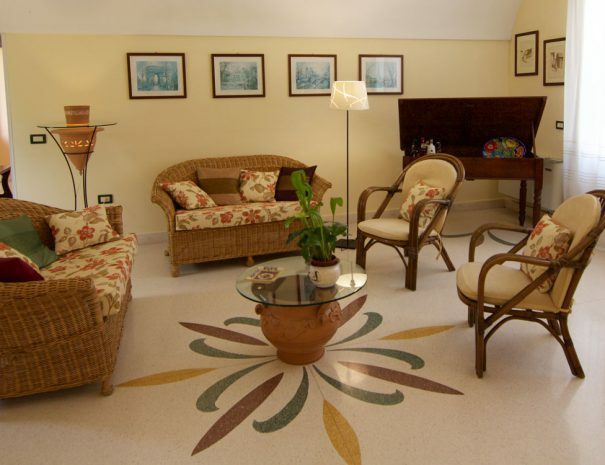 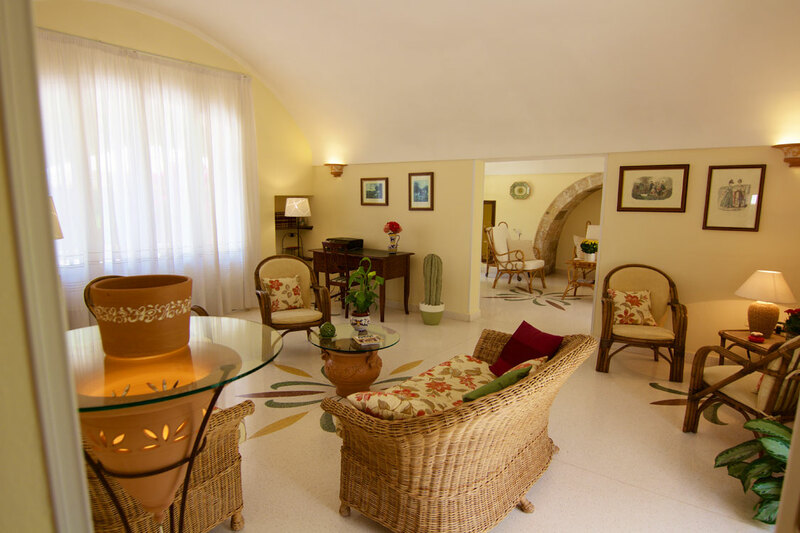 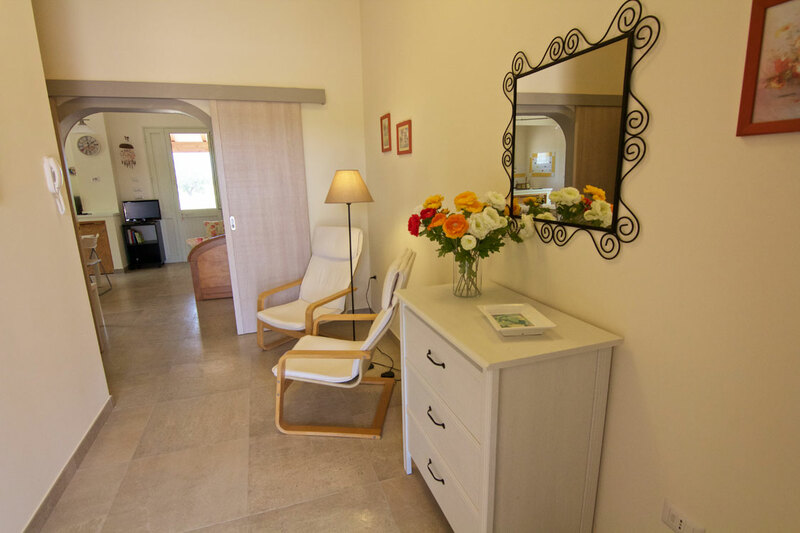 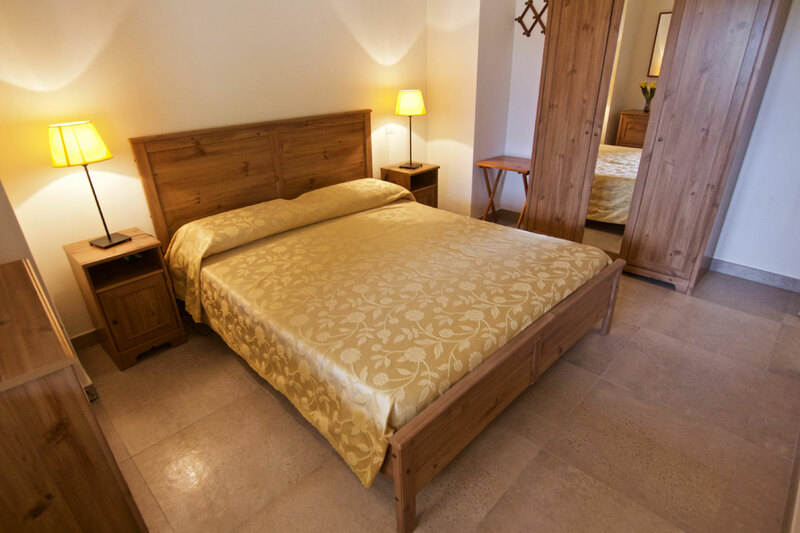 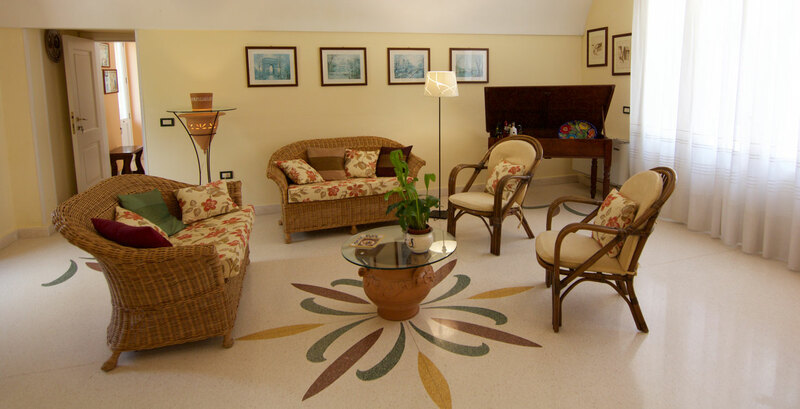 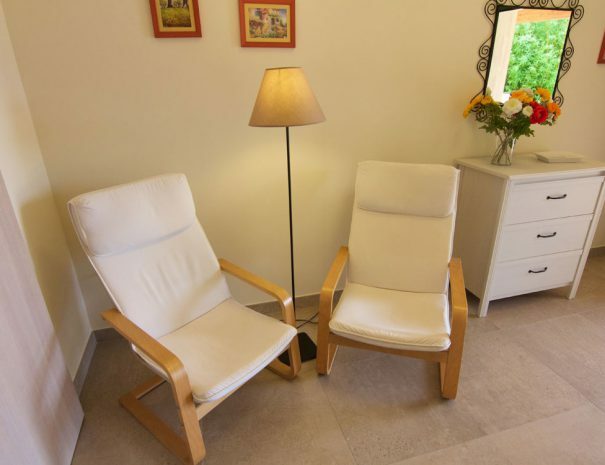 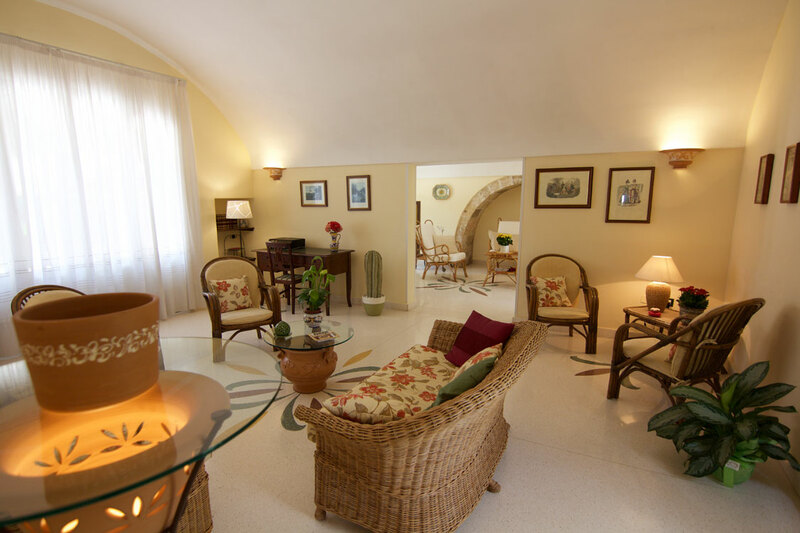 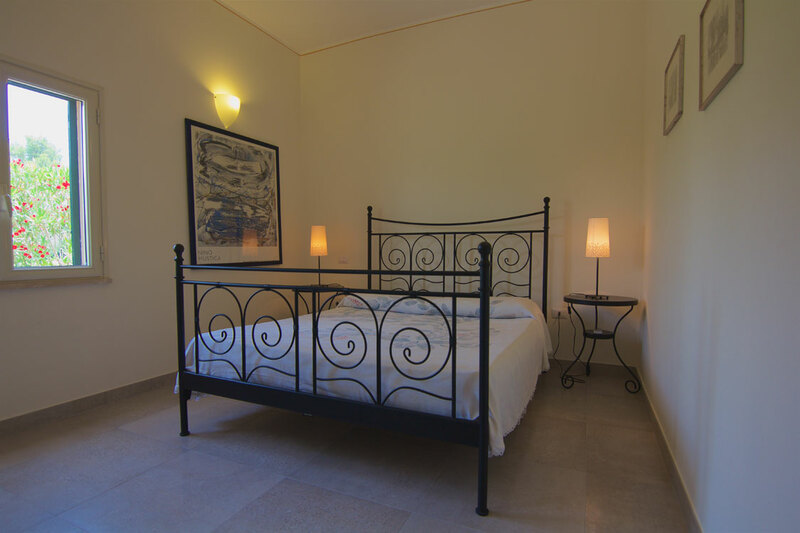 If you are alone or in a couple, you can enjoy your well-deserved relaxation in our spacious "Zagare" suite, with its small hall for your reading, the comfortable double bedroom, the private bathroom and the large terrace/solarium furnished to enjoy the shining sun of Salento. 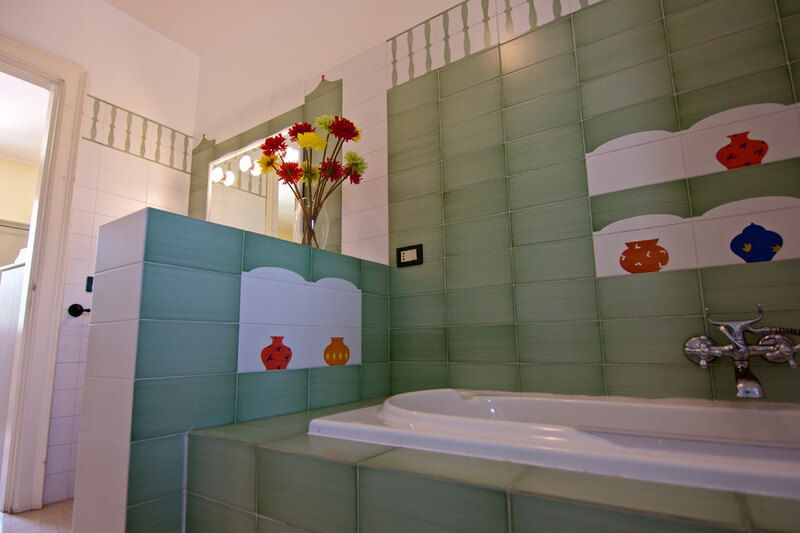 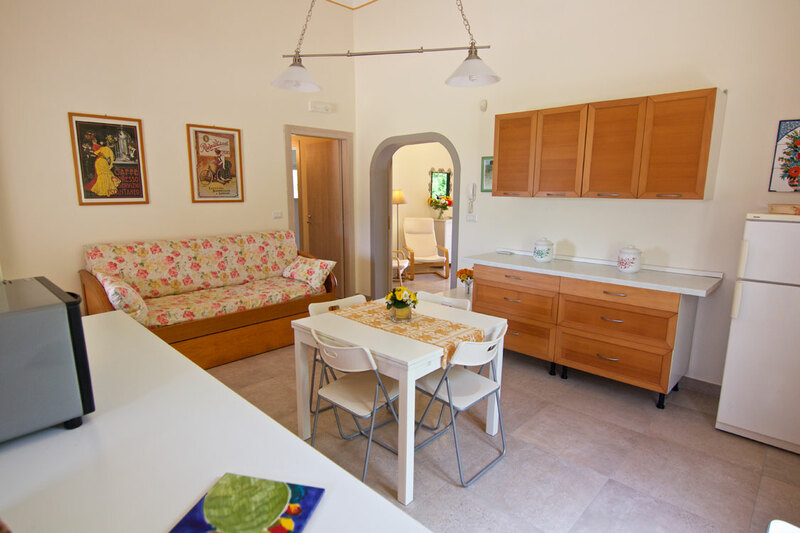 If instead you come to enjoy a holiday with your family or another couple, the family room "Melograno" is the ideal choice with its hall with reading corner, the large bathroom, the two double bedrooms and the bright balcony. 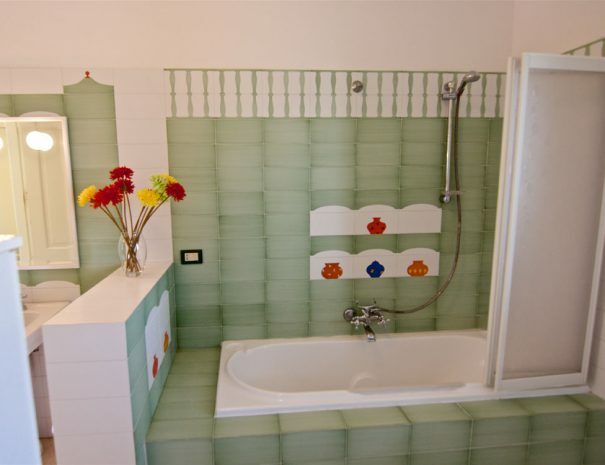 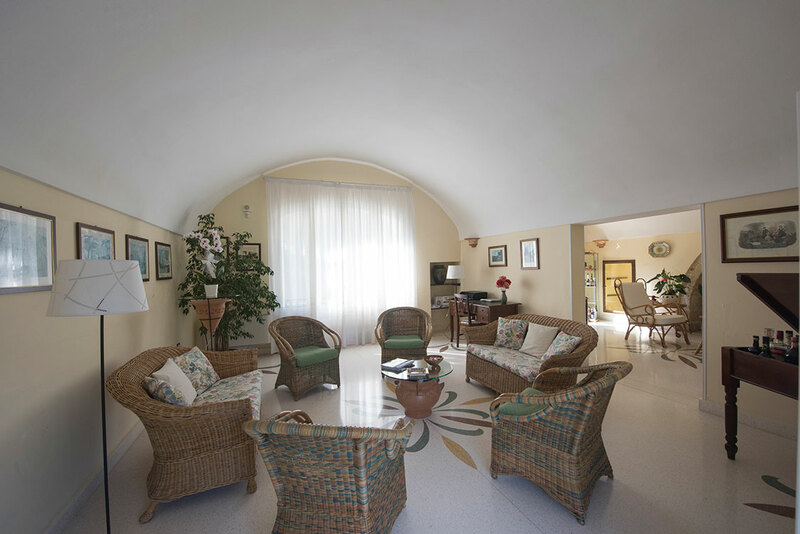 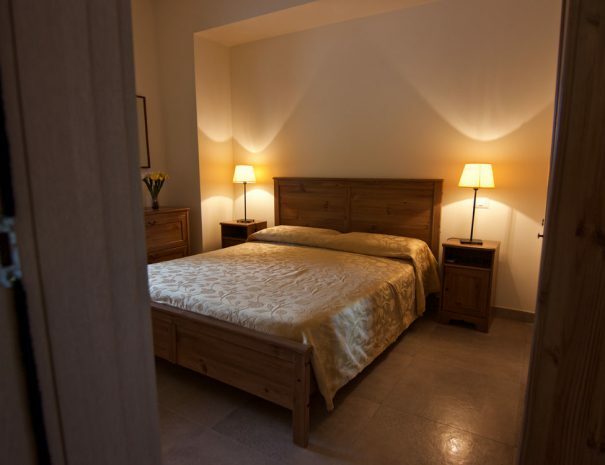 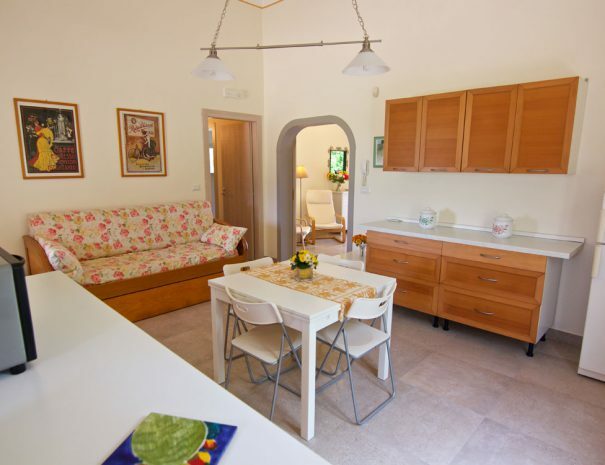 If your group is larger, our B & B will put at your disposal the independent accommodation "Villa Sirgolino", consisting of three double bedrooms, two bathrooms with shower, living room with TV, independent kitchen and large outdoor porch to enjoy the fresh evenings in the middle of summer. 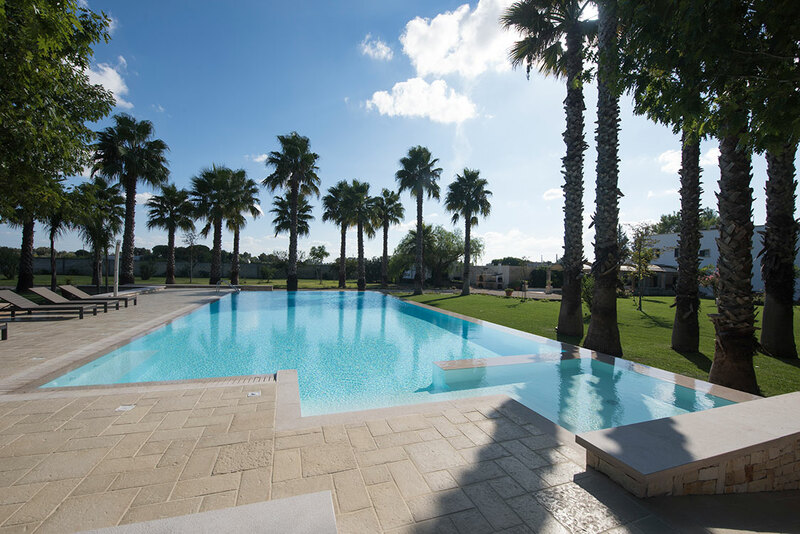 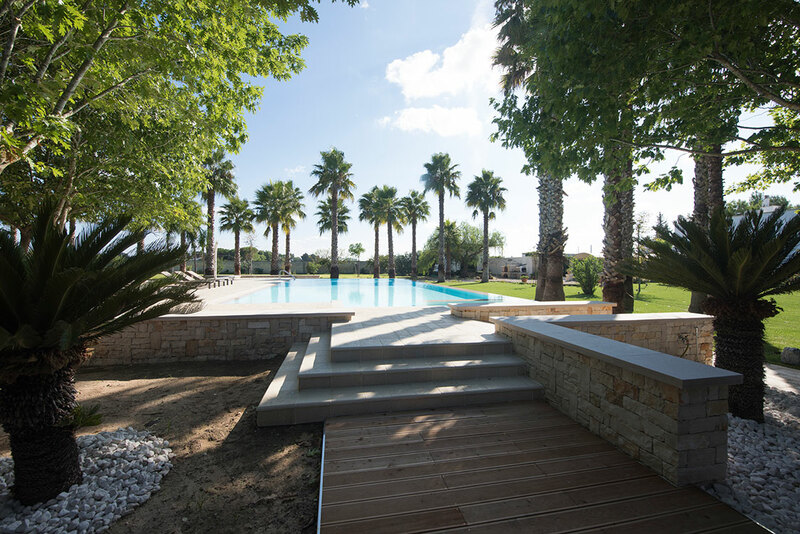 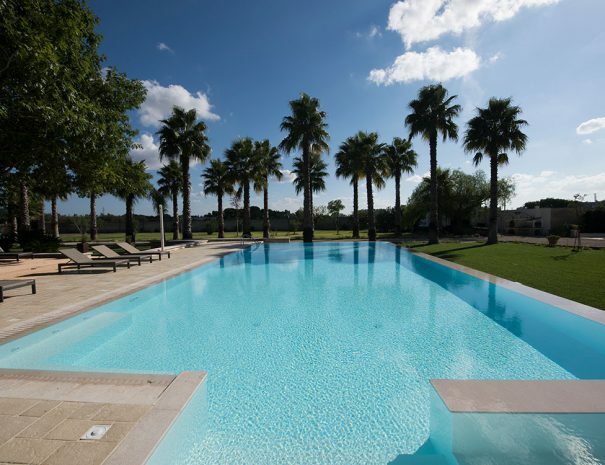 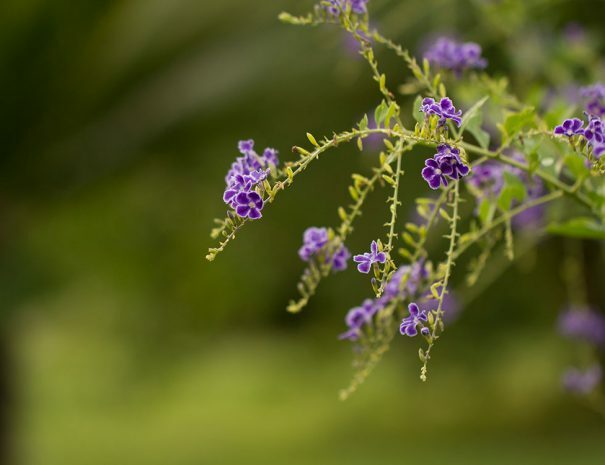 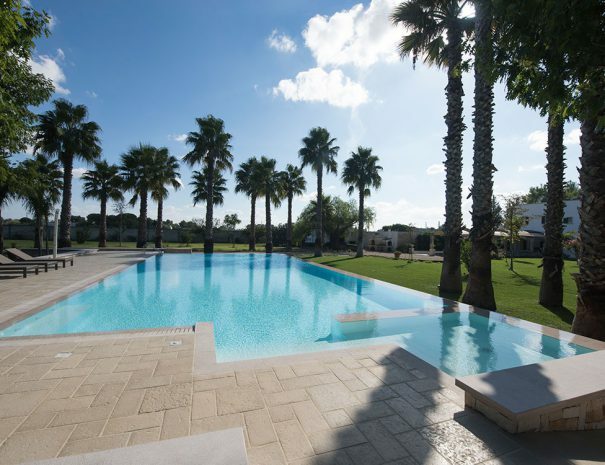 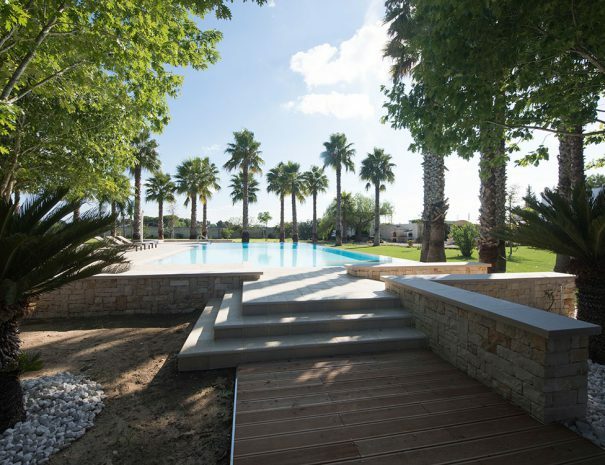 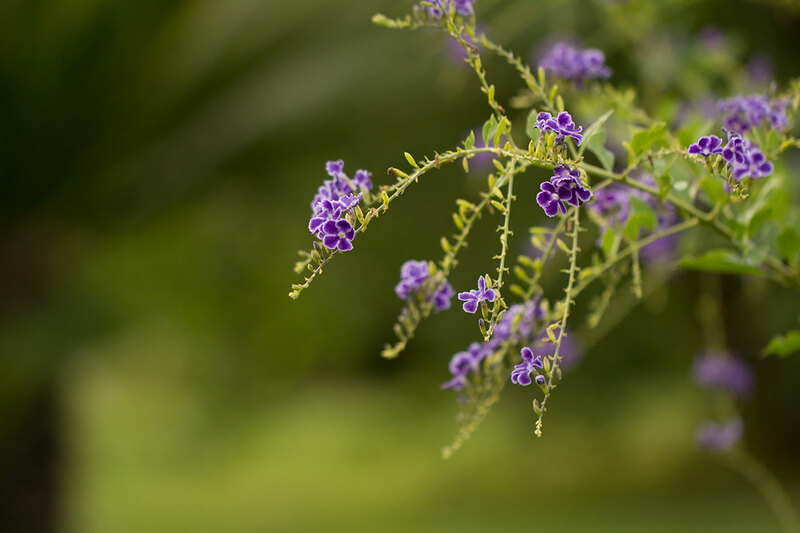 In all these cases you can take advantage of the beautiful saltwater infinity pool, the outdoor shower of private secure parking, the charming furnished garden. 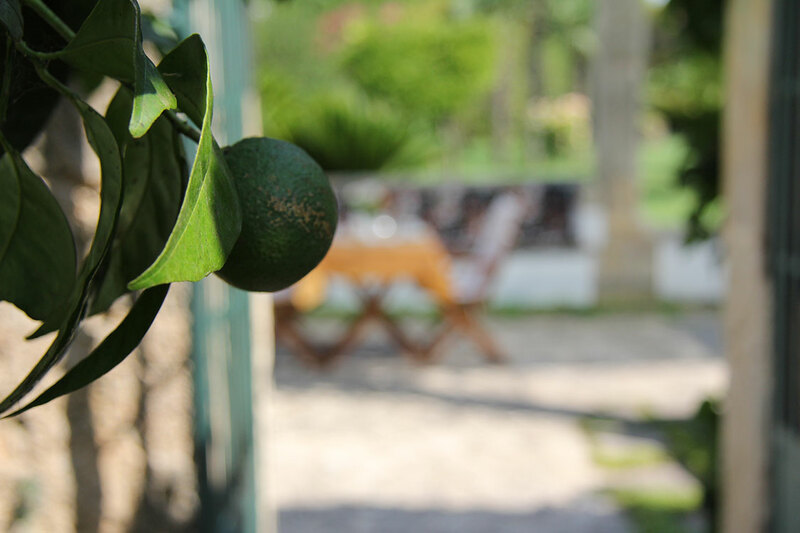 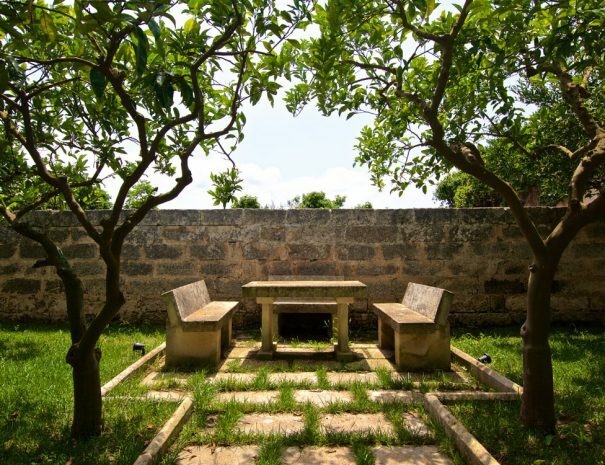 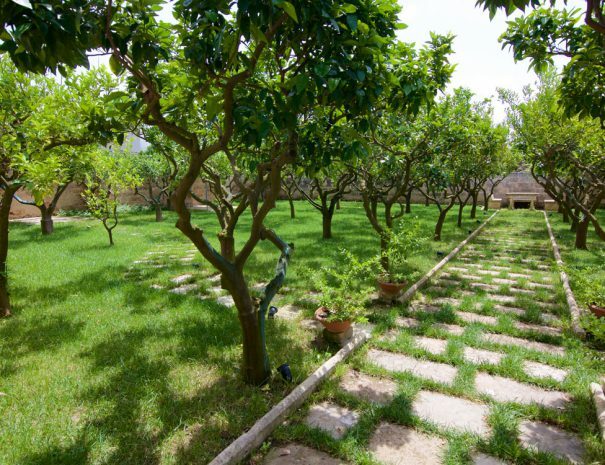 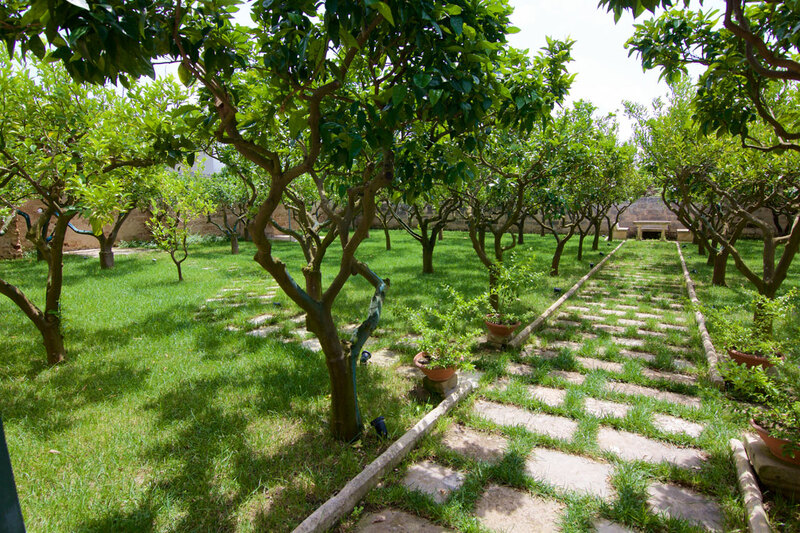 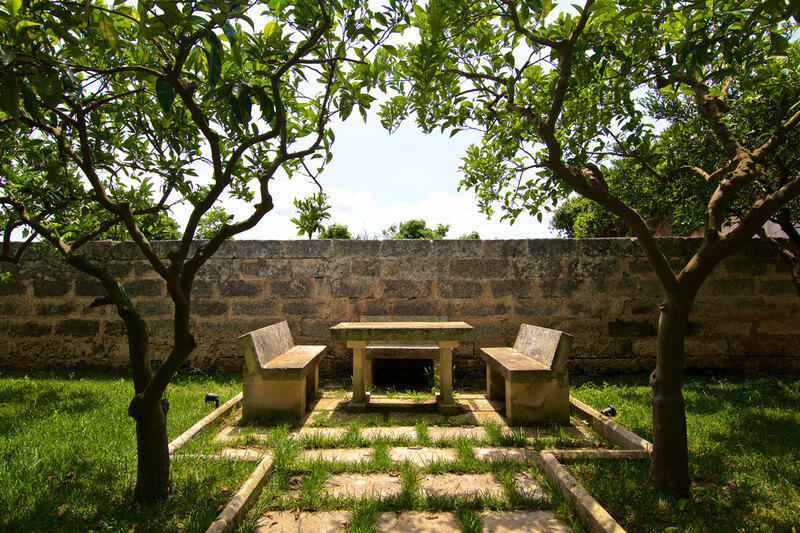 Last but not least of course the enchanting orange grove (parco degli aranci), with benches and a small stone table. 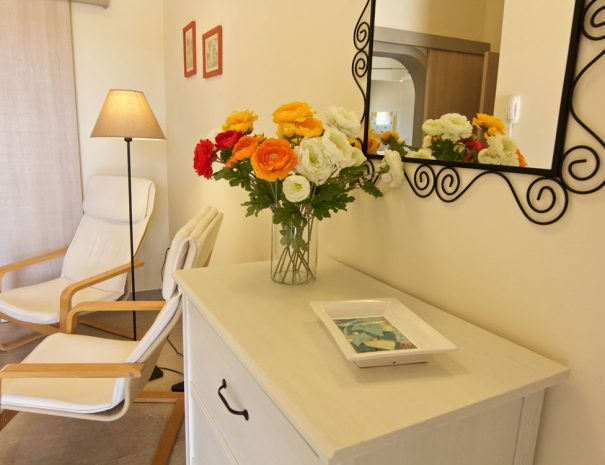 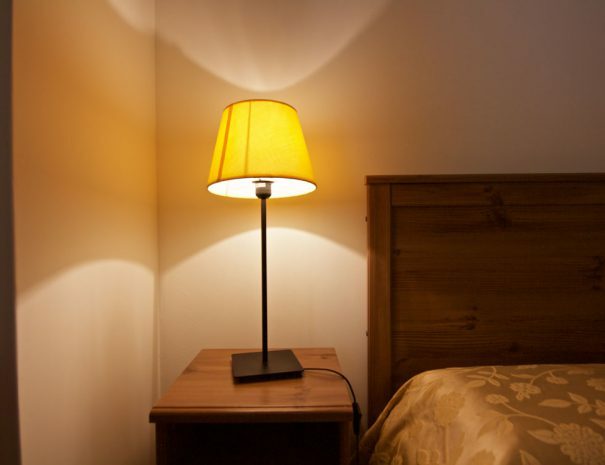 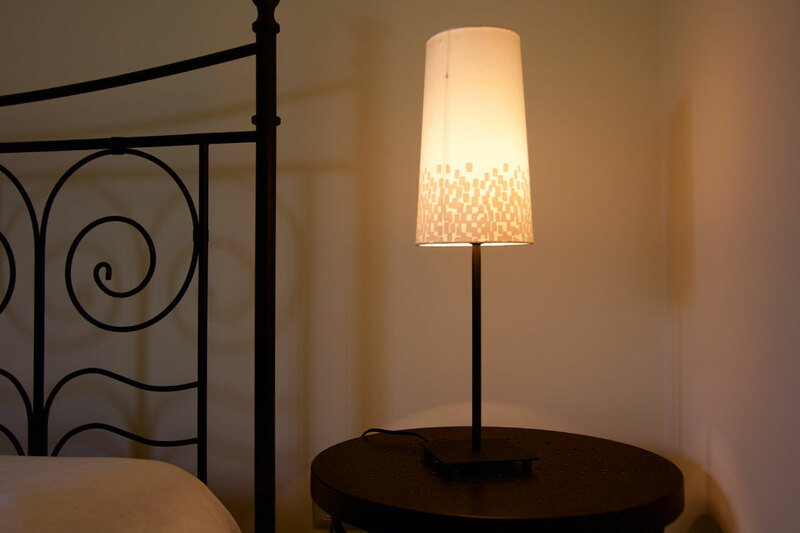 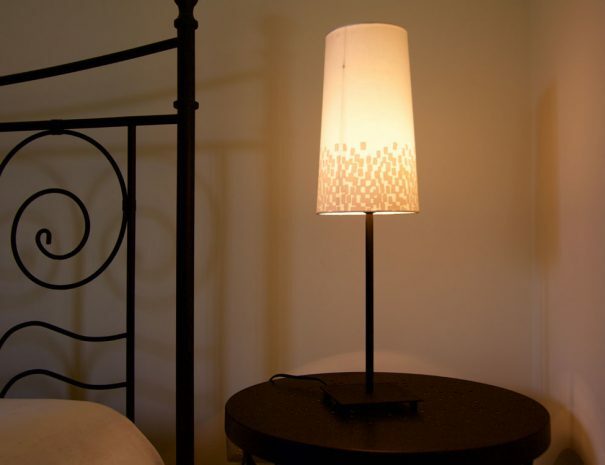 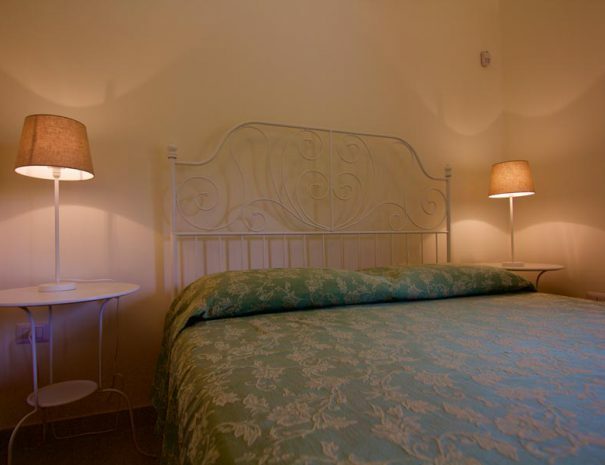 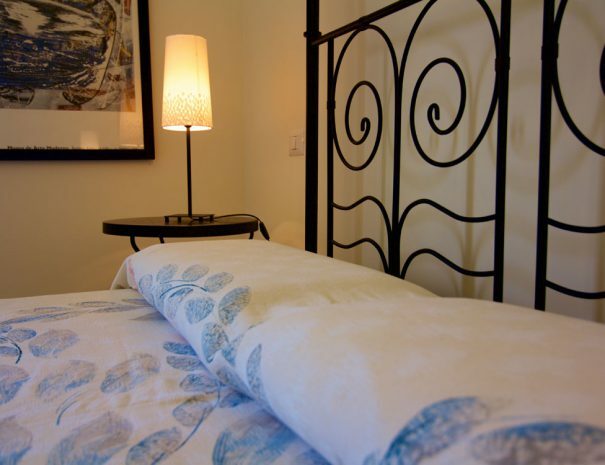 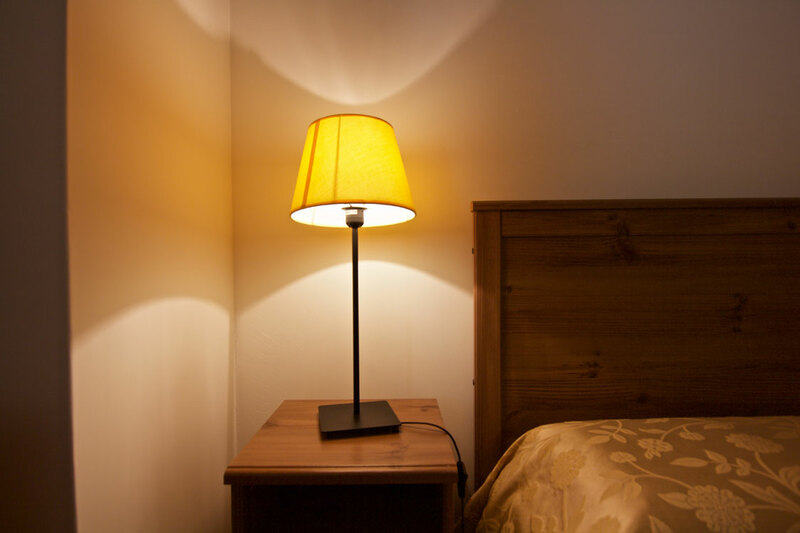 All accommodations are bright and furnished with great care and have air conditioning. 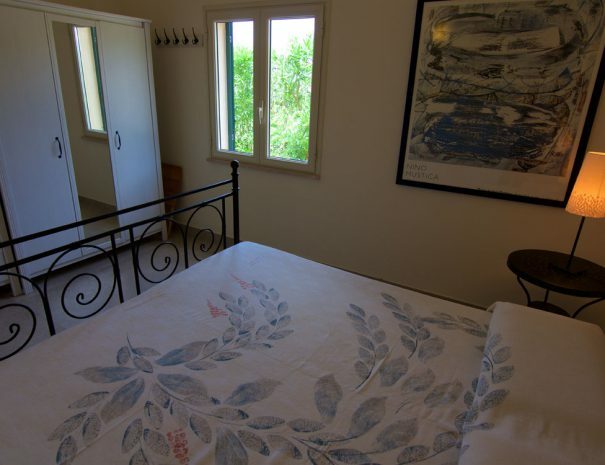 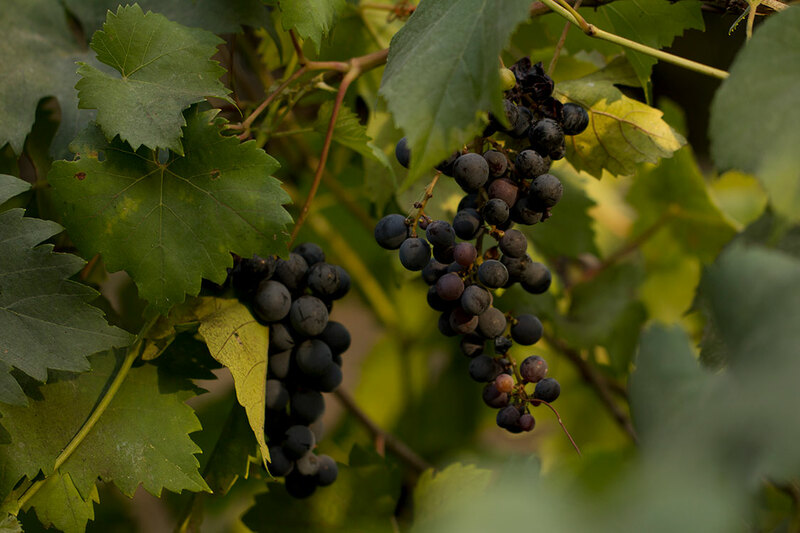 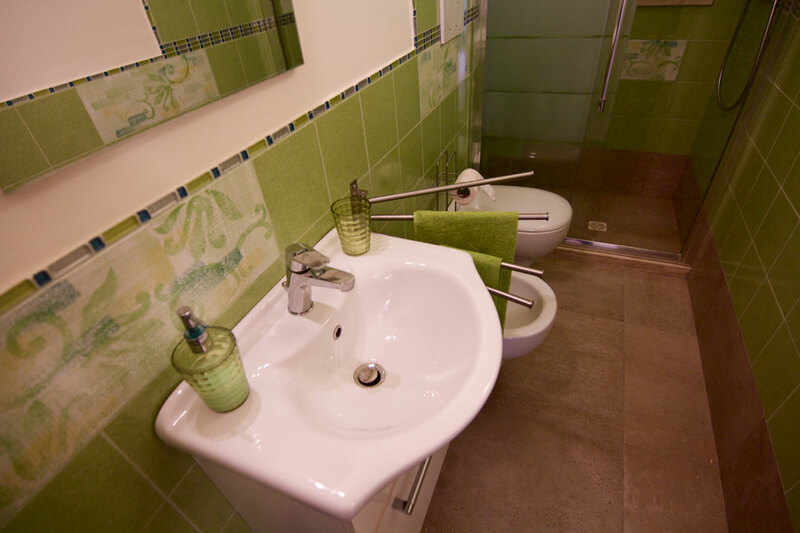 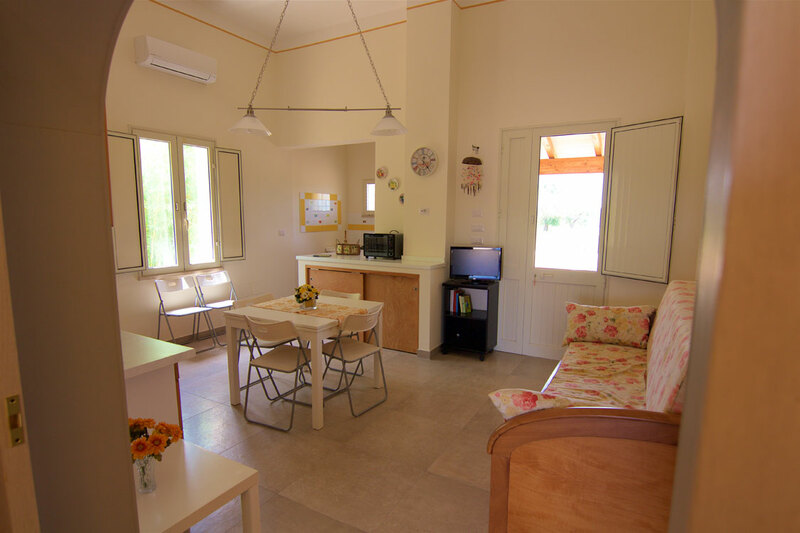 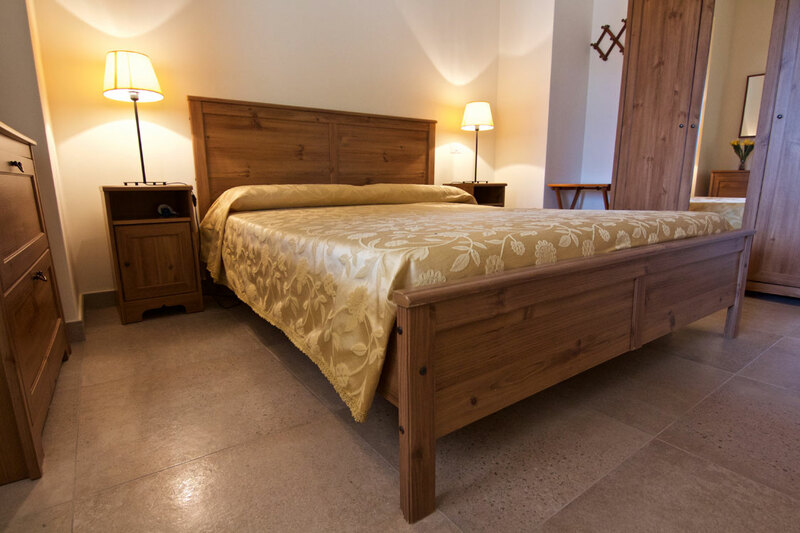 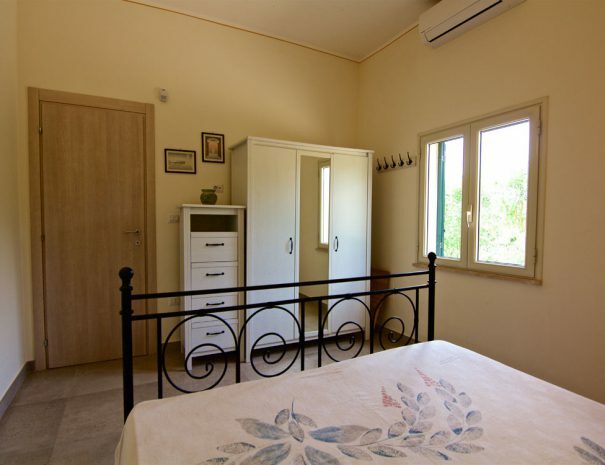 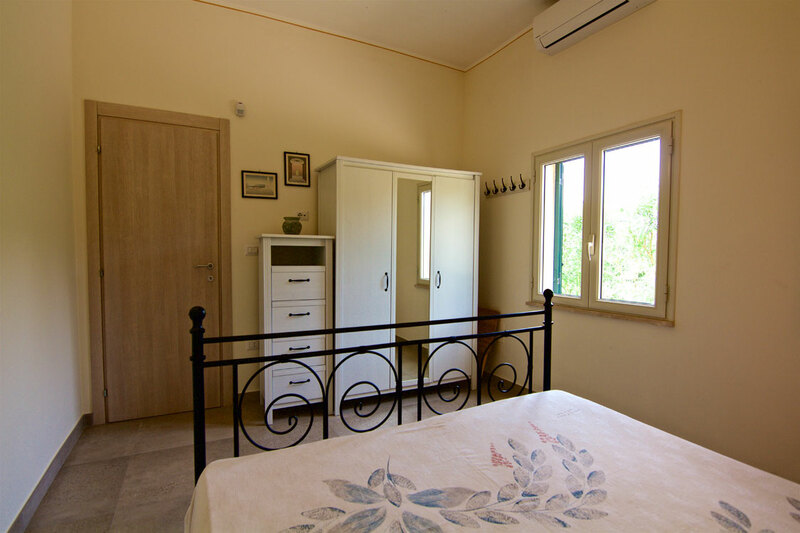 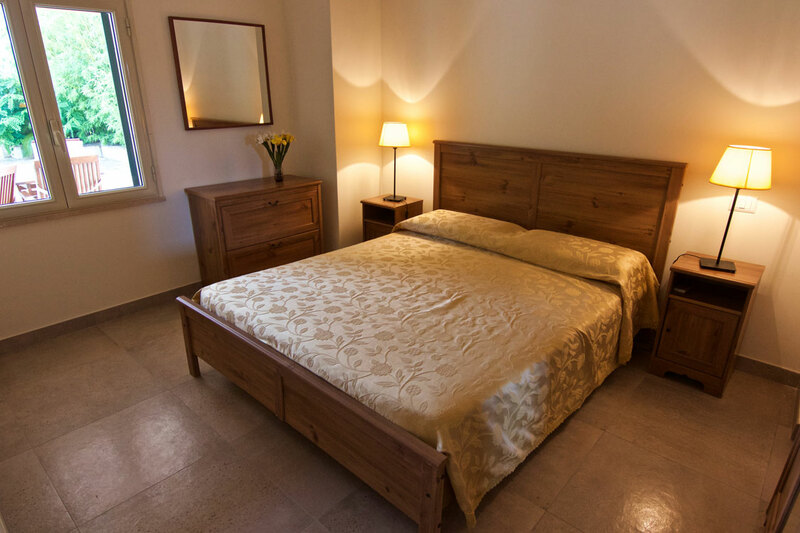 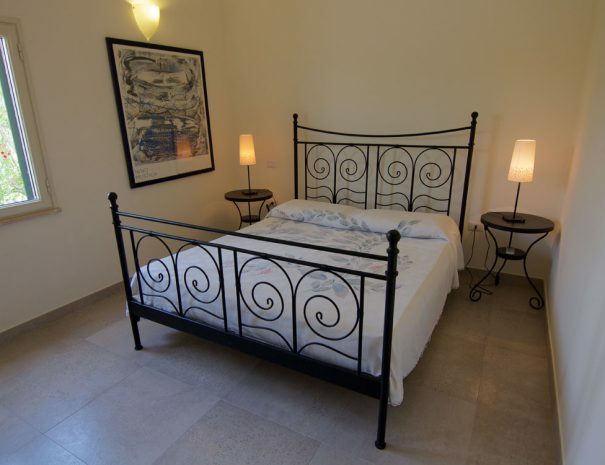 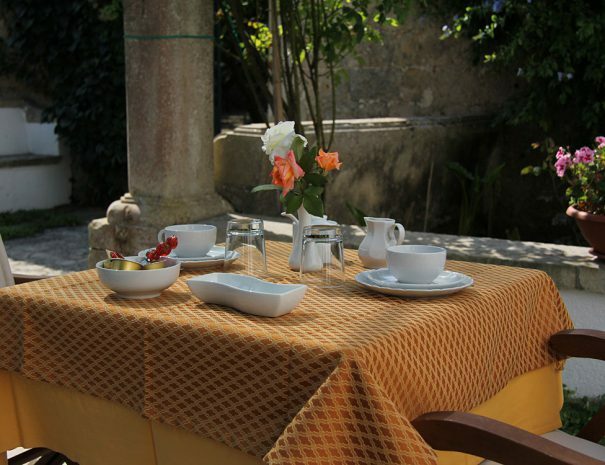 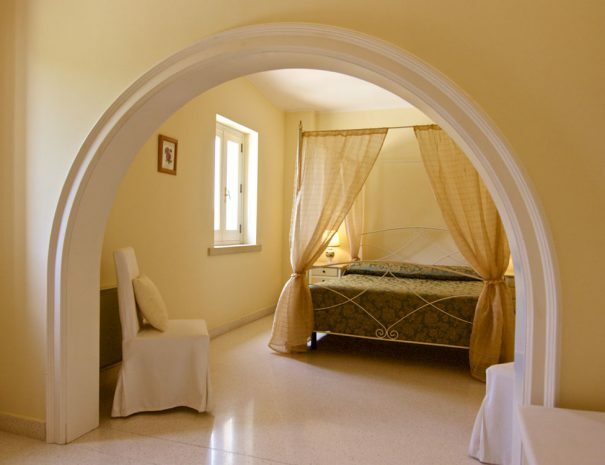 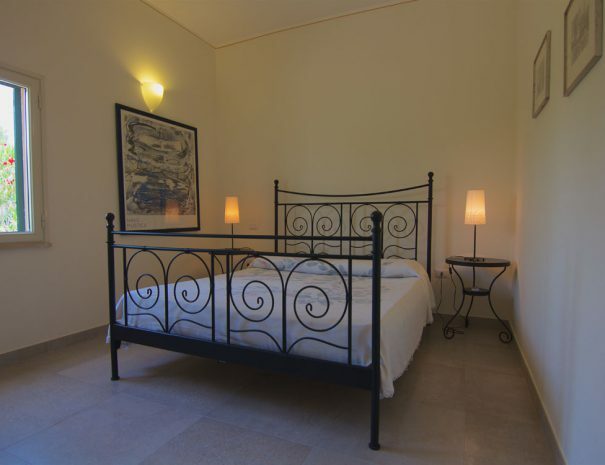 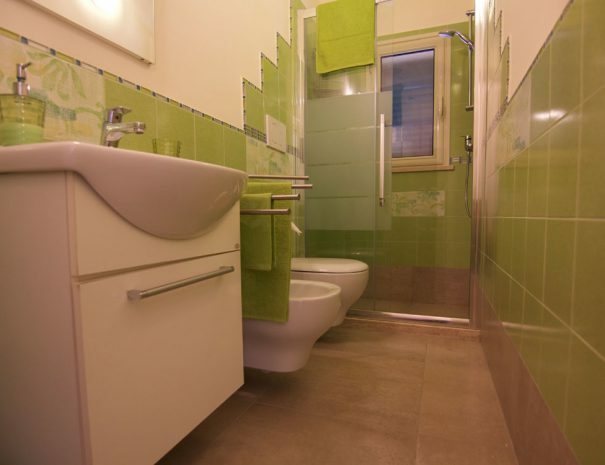 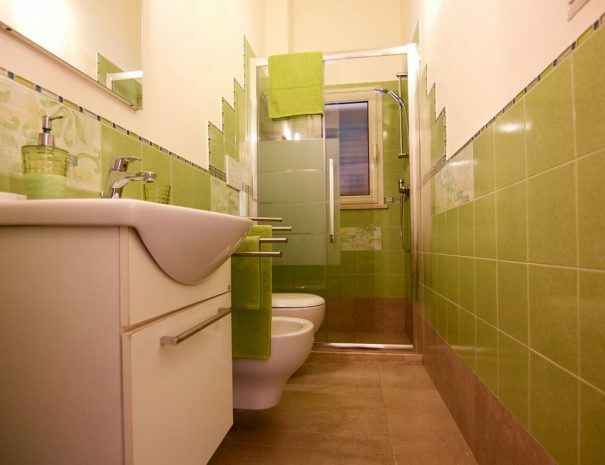 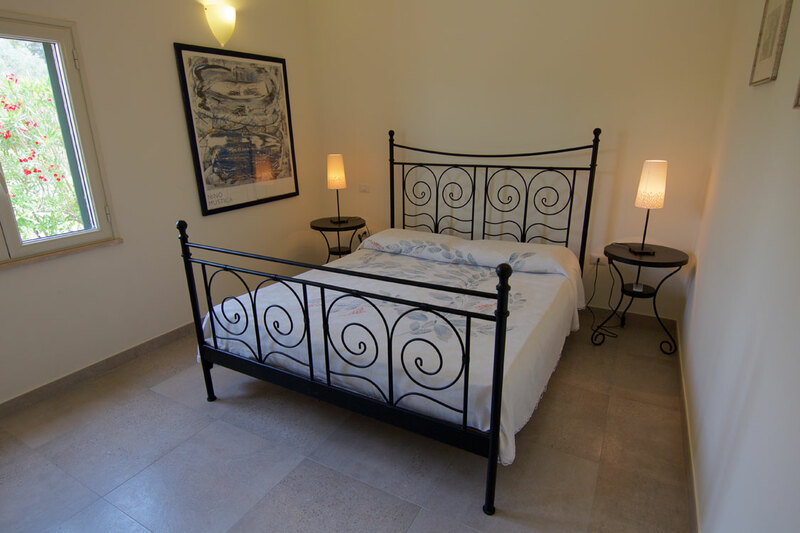 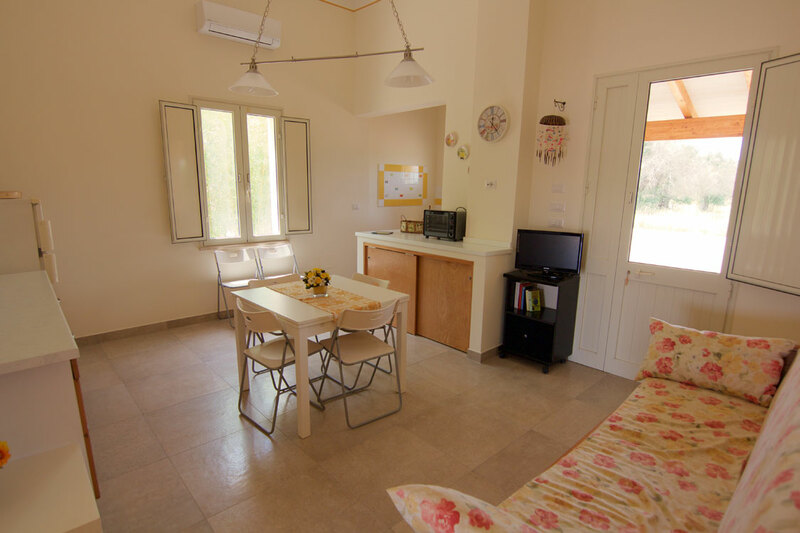 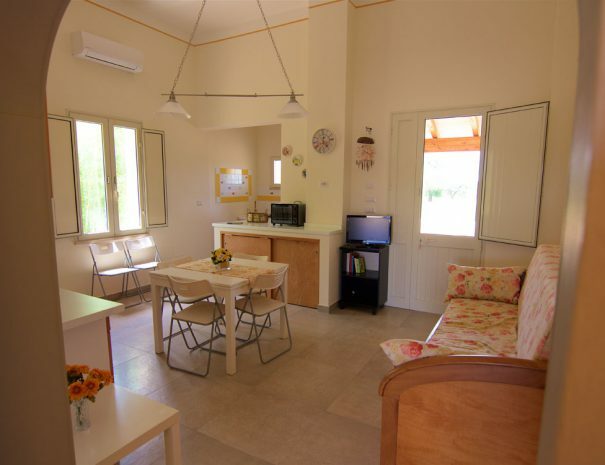 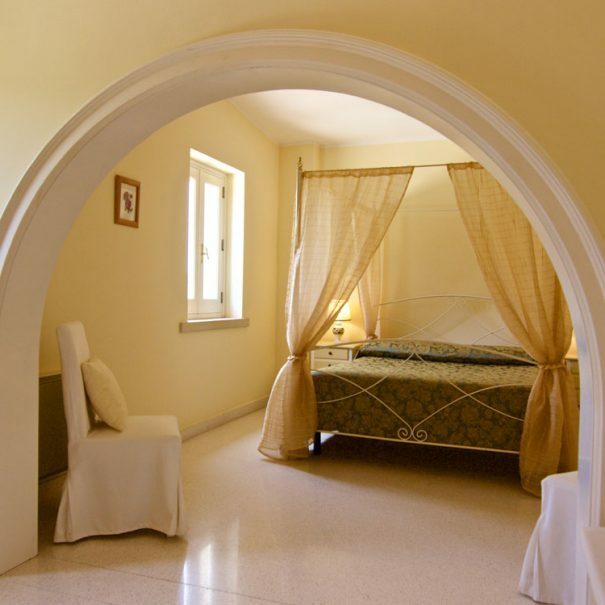 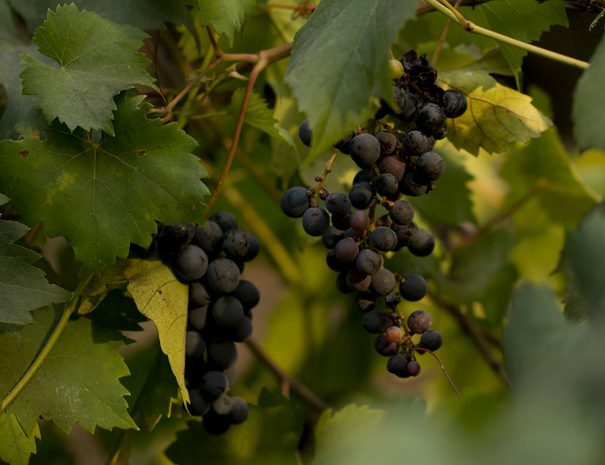 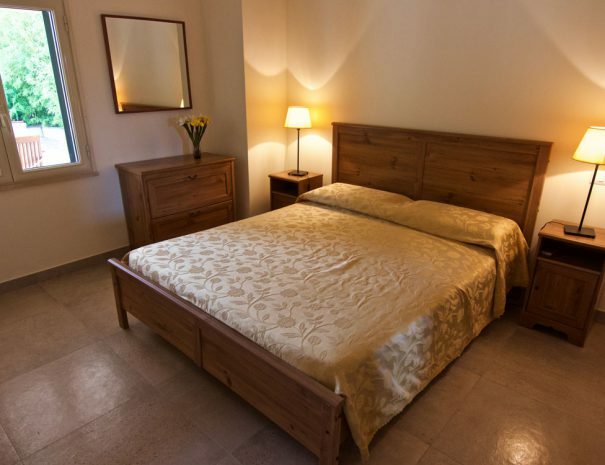 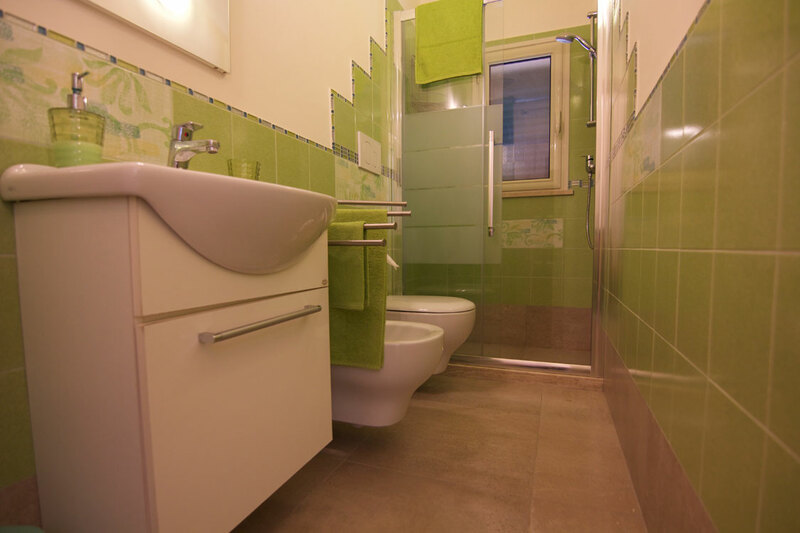 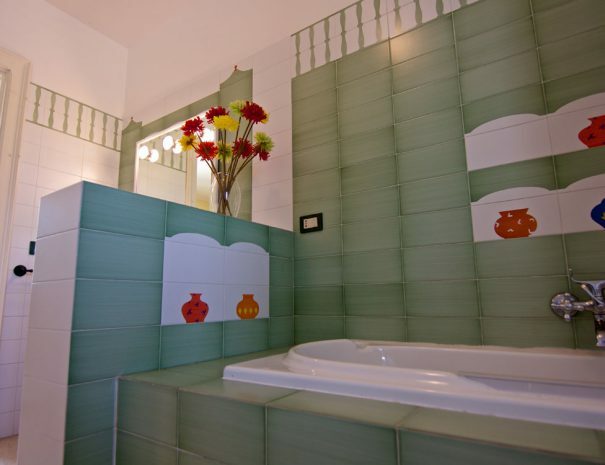 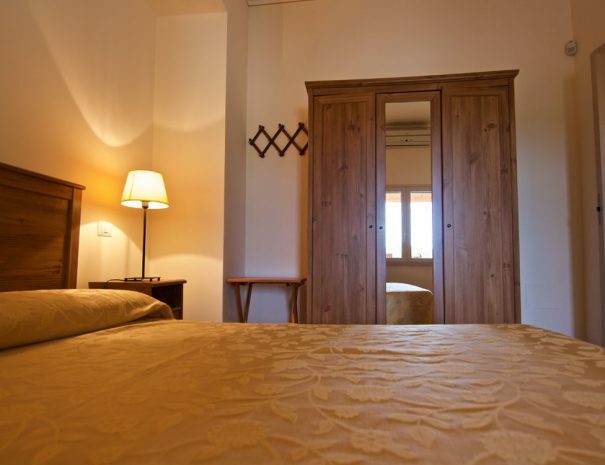 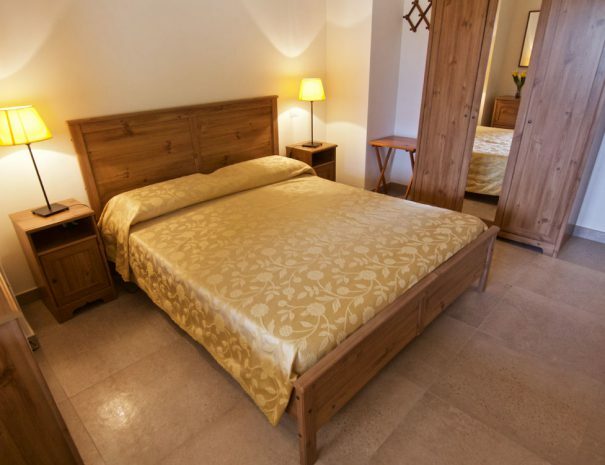 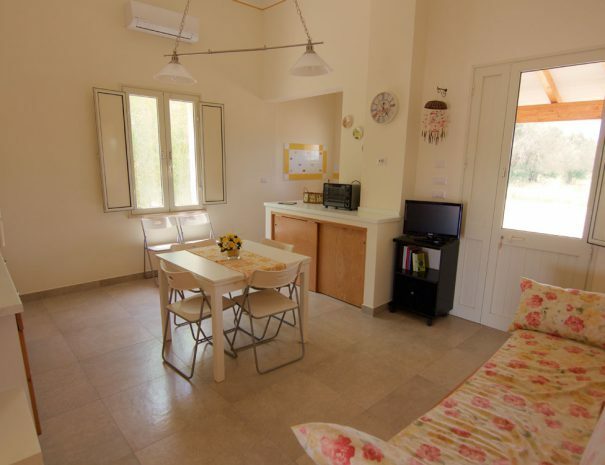 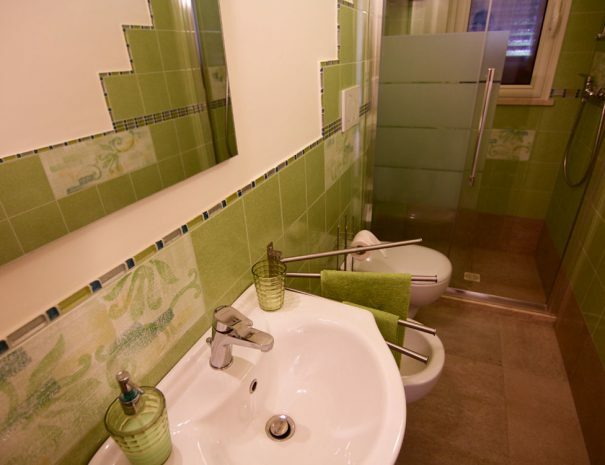 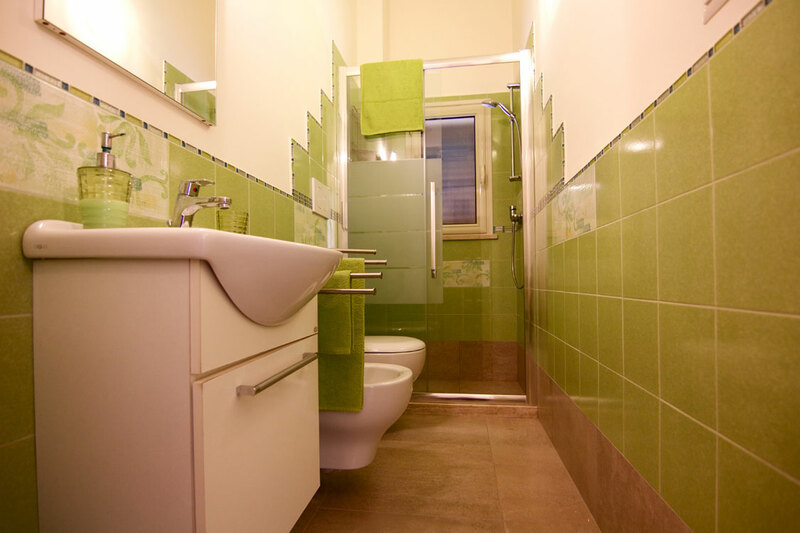 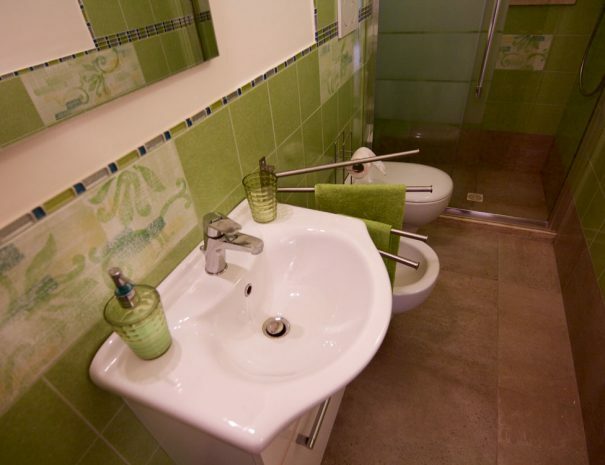 The rooms include mini bar and wi-fi, the Sirgolino villa includes a functional kitchen. 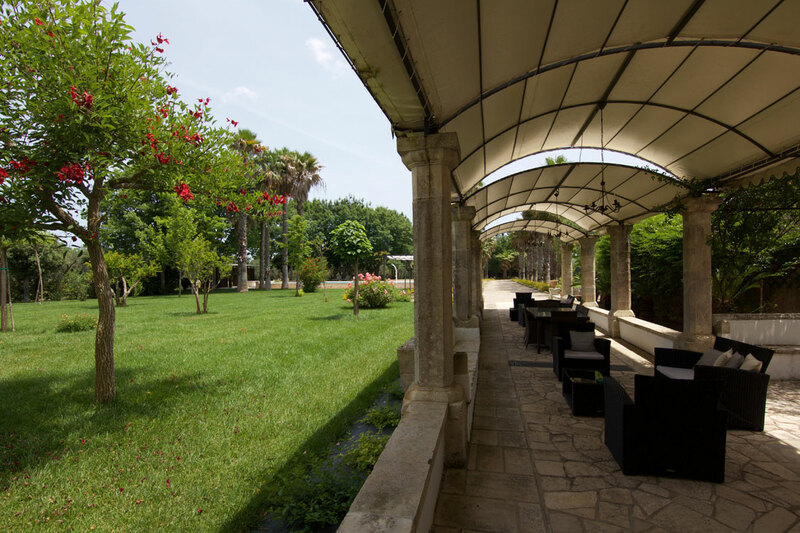 Make your event even more memorable, celebrating it in our wonderful structure. 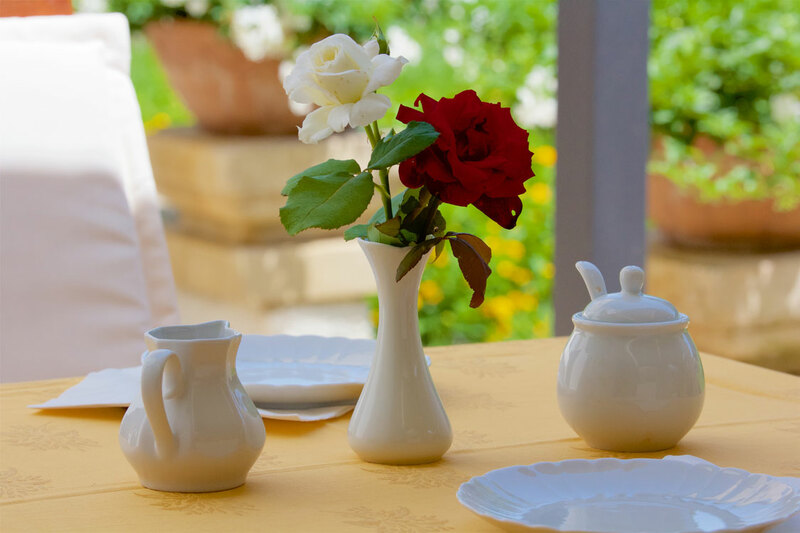 We are happy to be able to take care of your wedding reception or ceremony, your gala dinner or graduation parties, communion, confirmation or baptism. 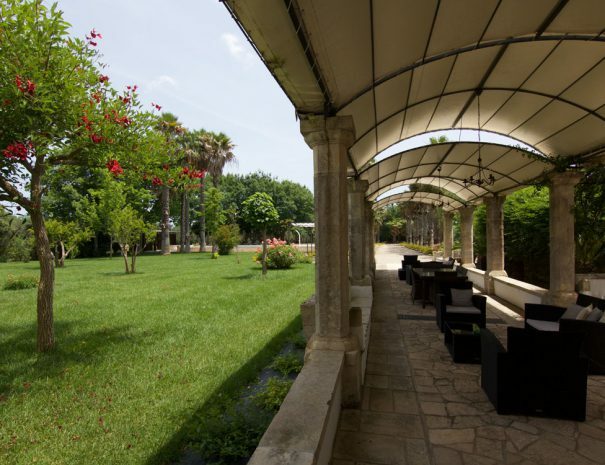 With experience, passion and dedication we organise your event taking care of every detail. 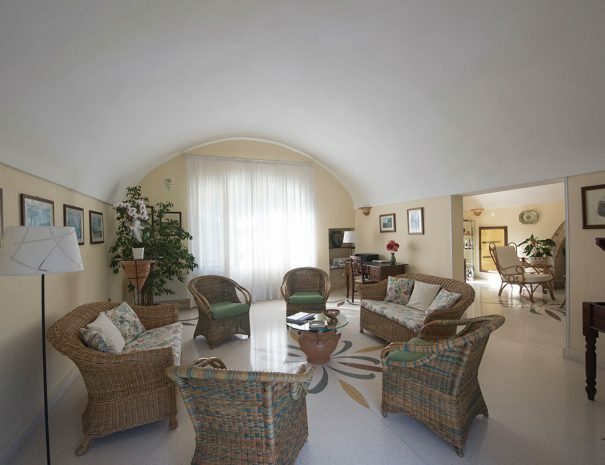 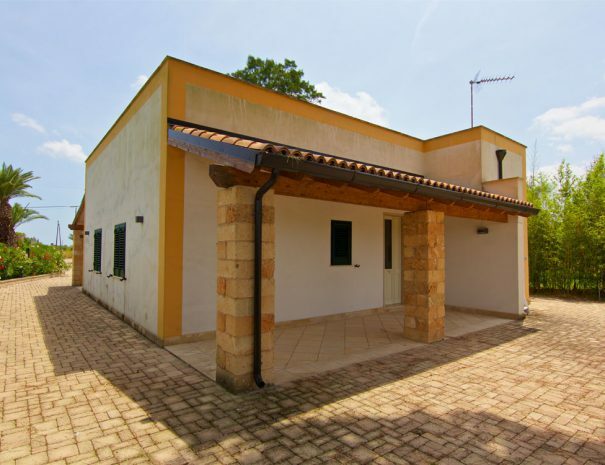 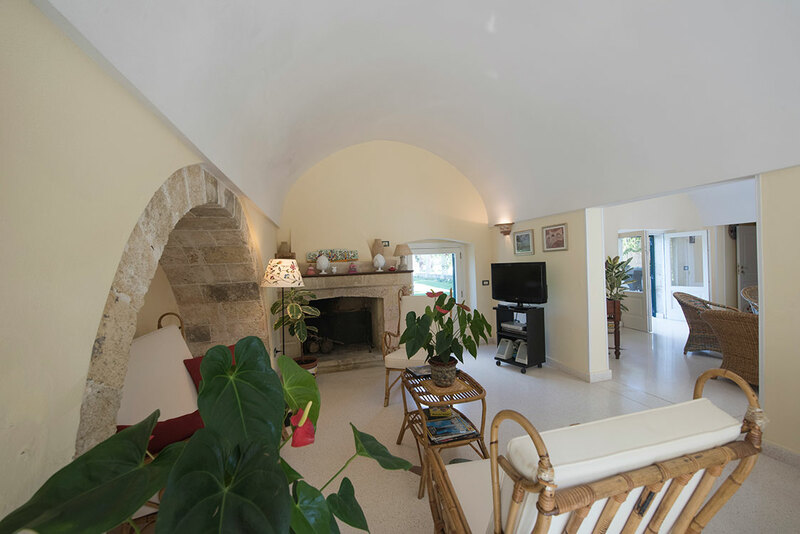 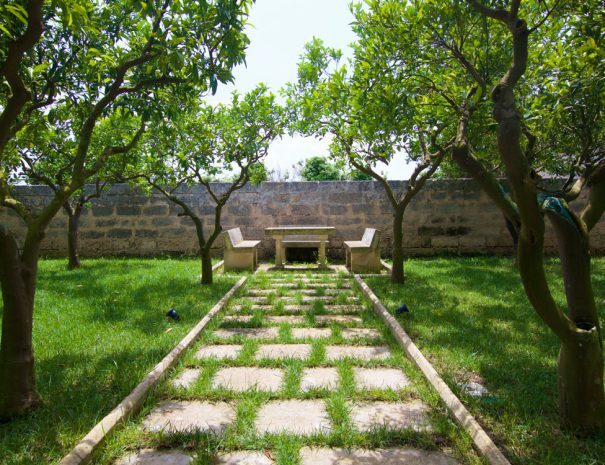 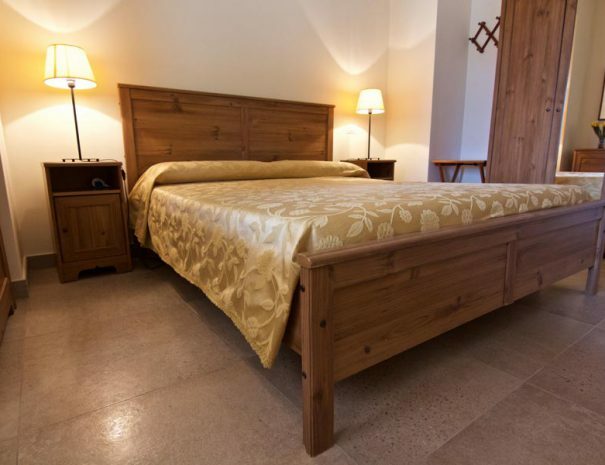 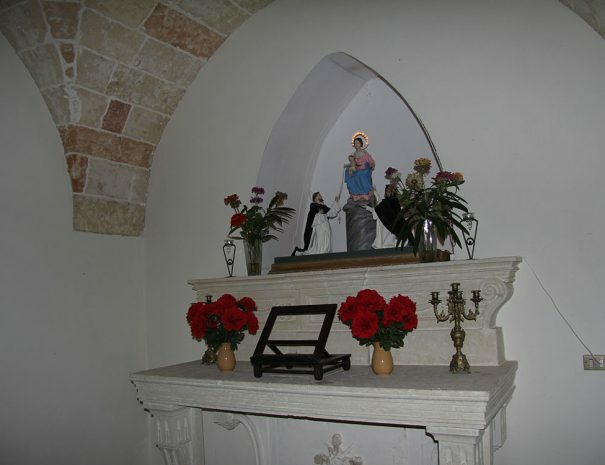 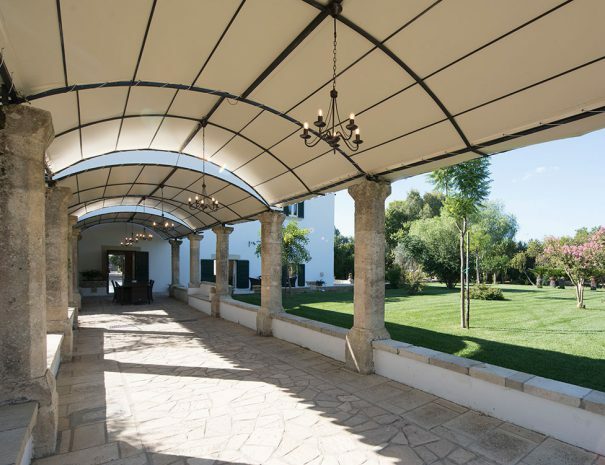 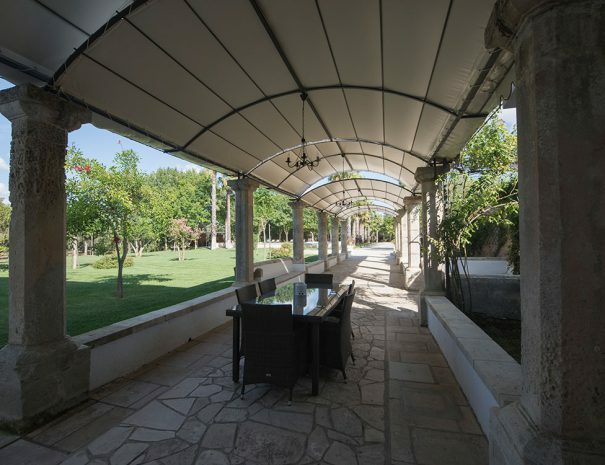 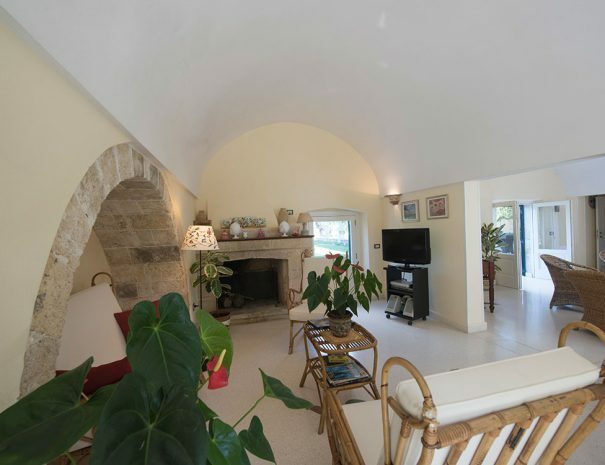 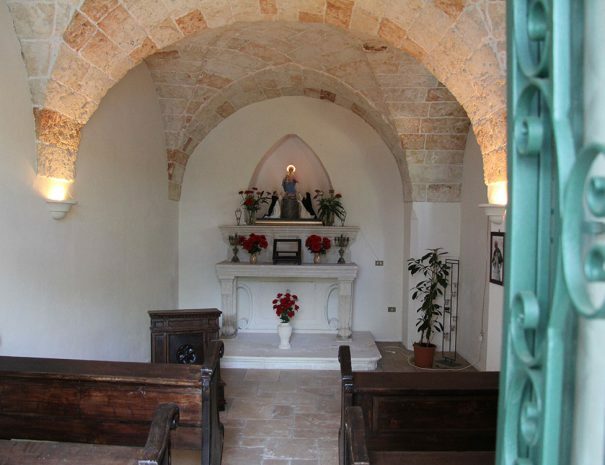 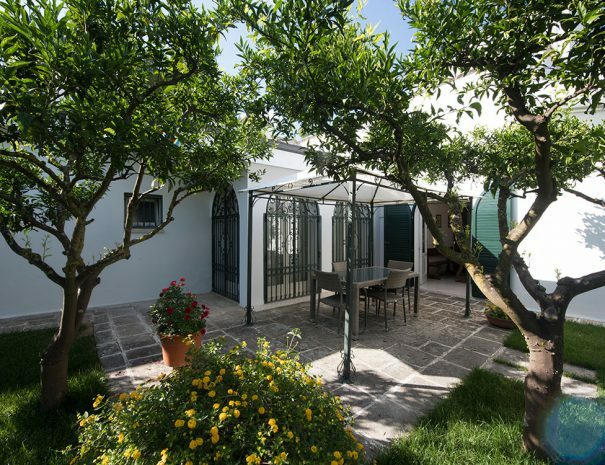 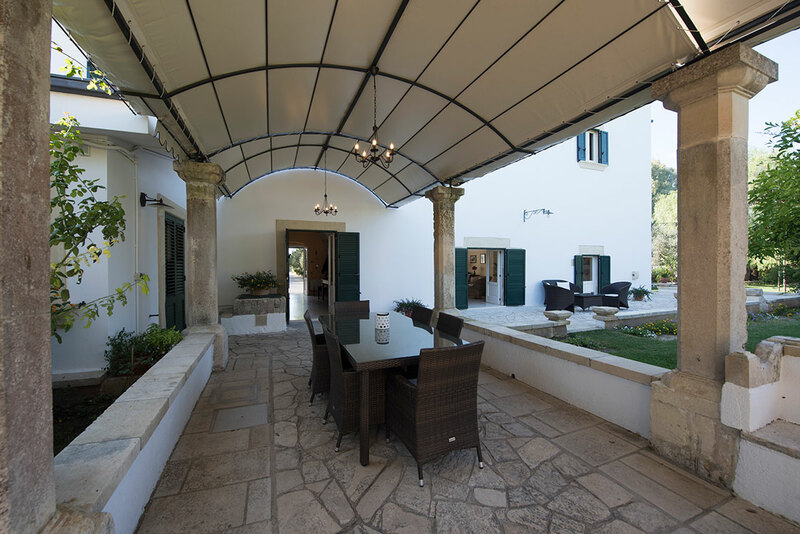 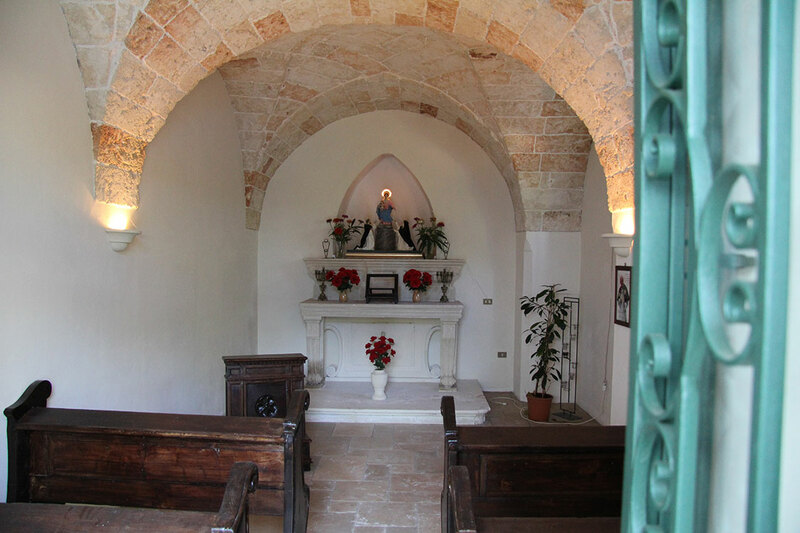 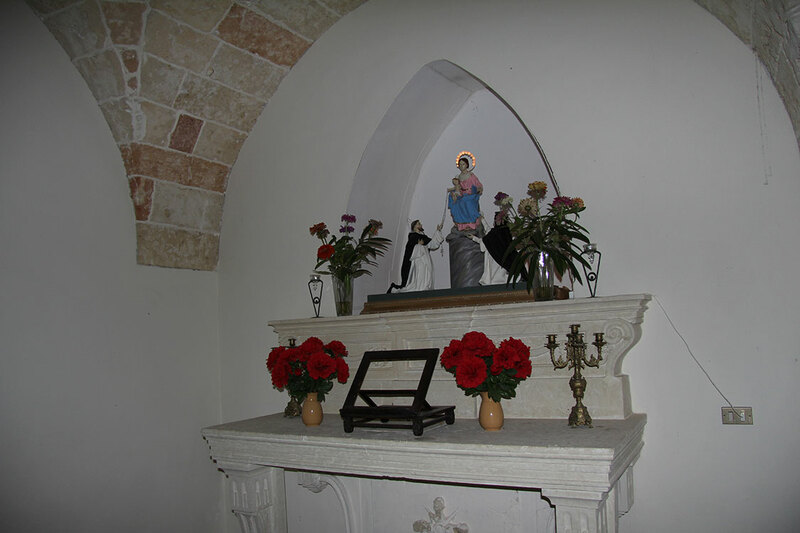 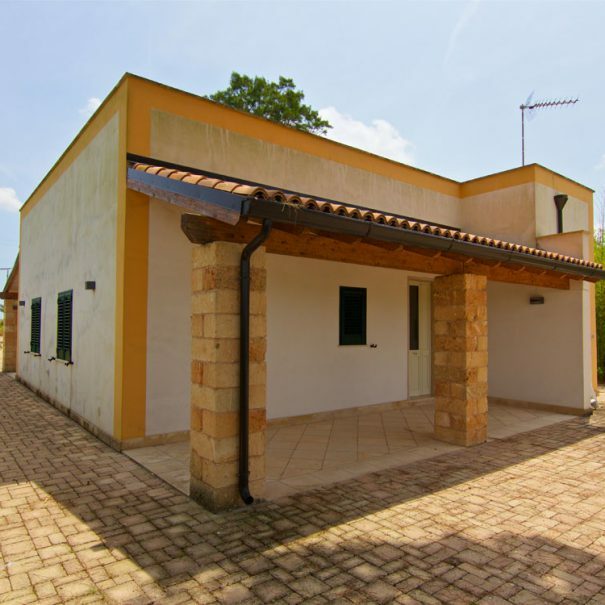 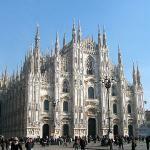 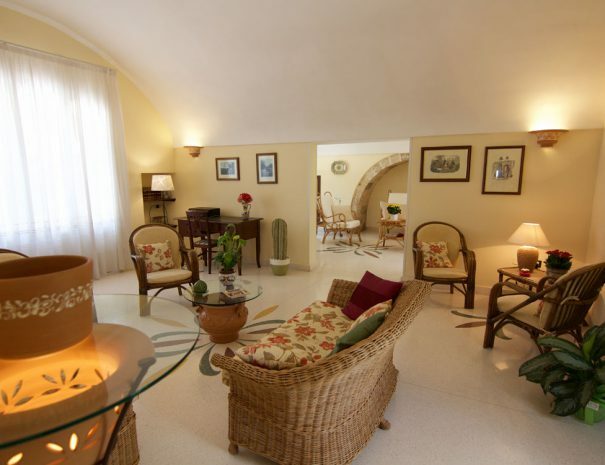 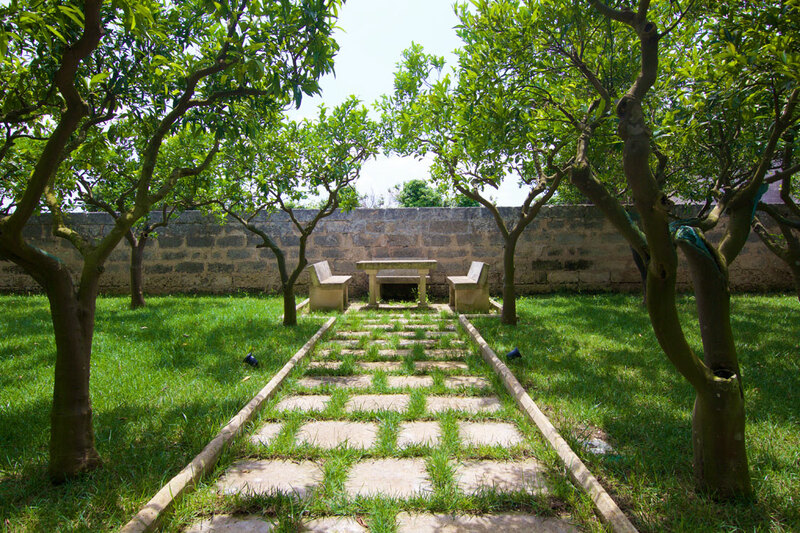 The structure includes a private church dating back to 1500 completely renovated. 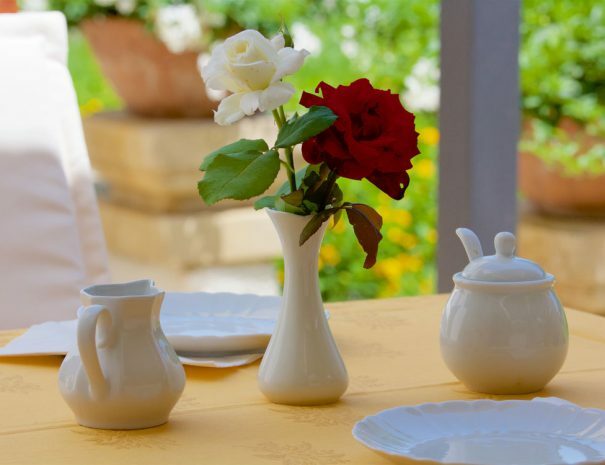 We organise the big day of your wedding by entrusting the Wedding Planning services to the best local professionals. 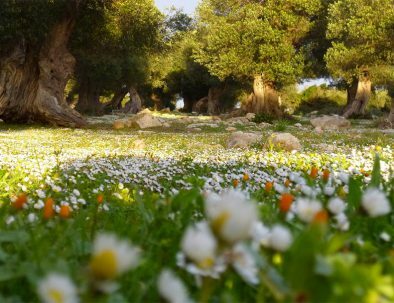 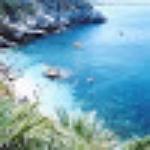 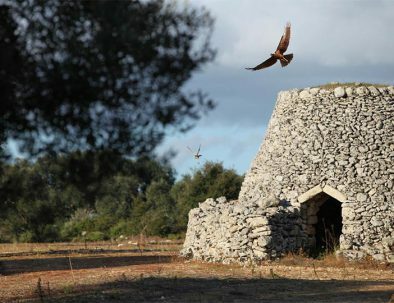 Situato in posizione strategica per visitare tutto il Salento e immerso in un parco meraviglioso in cui si può godere di una pace quasi surreale. 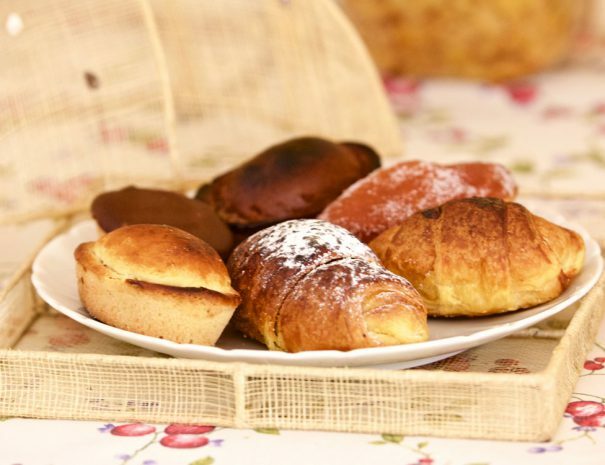 Stanze molto ampie. 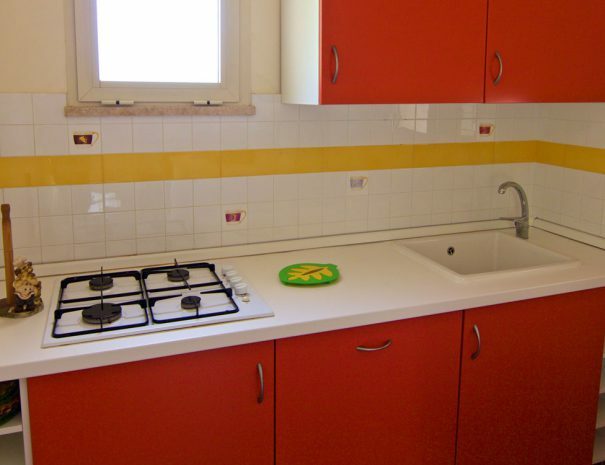 Pulizia camere eccellente. 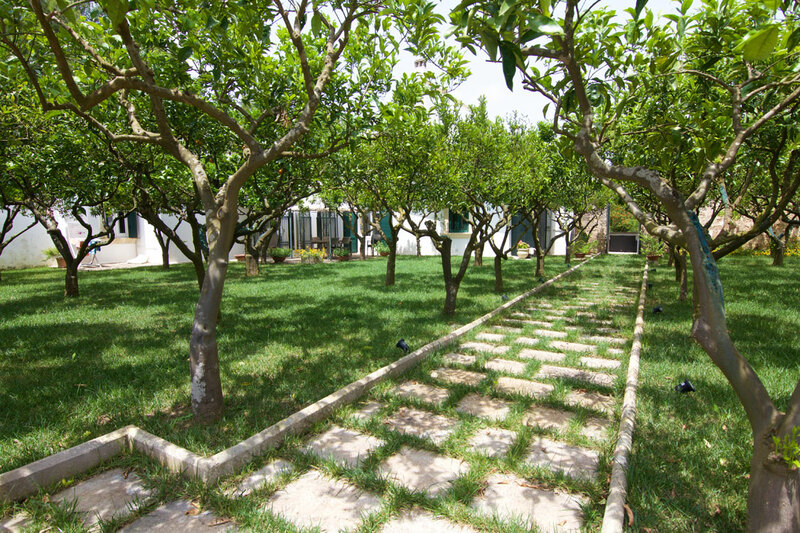 Parcheggio ampio e sotto l'ombra di piante secolari. 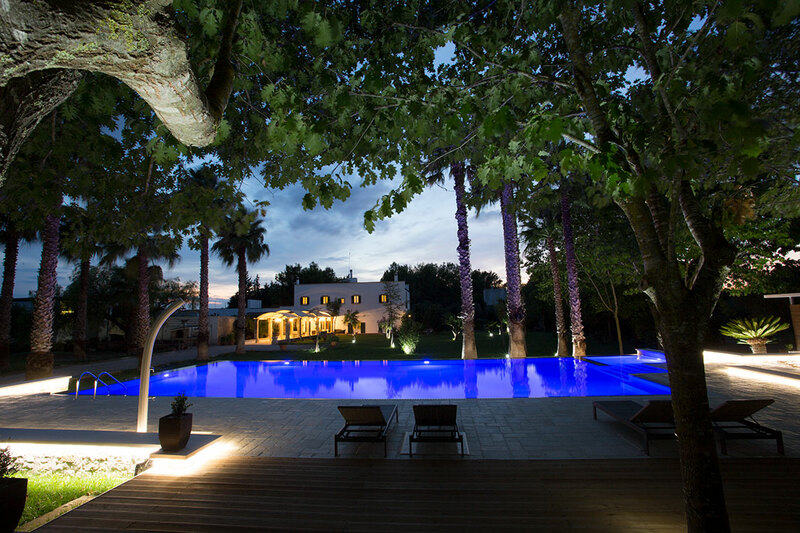 Take advantage of the current discounts and the fabulous offers we have created for you. 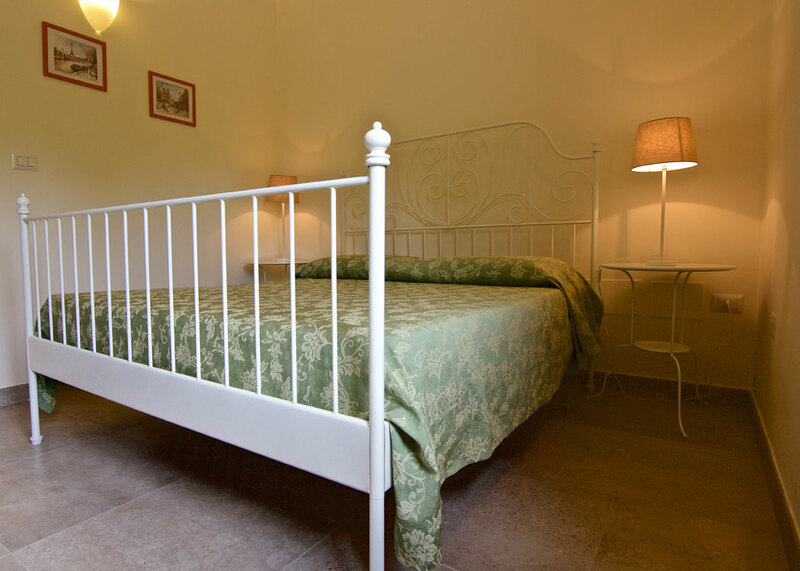 A further 15% discount for bookings in the winter period from 15 October to 15 February, excluding holidays. 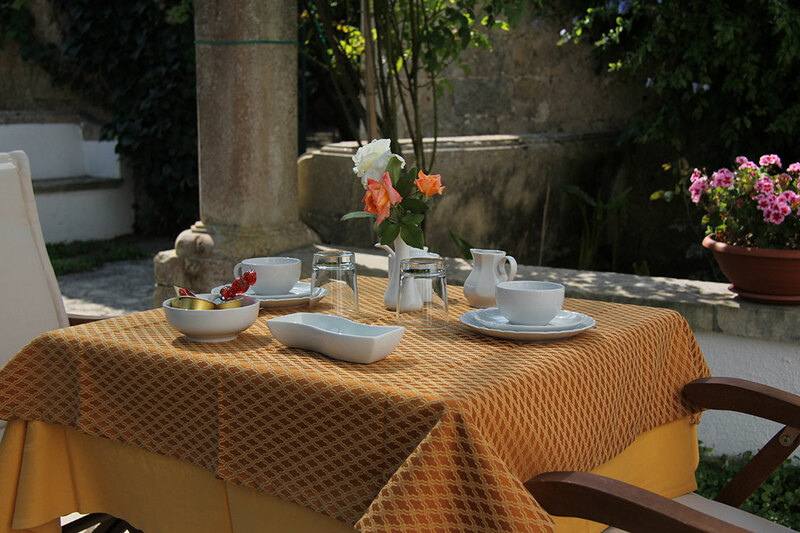 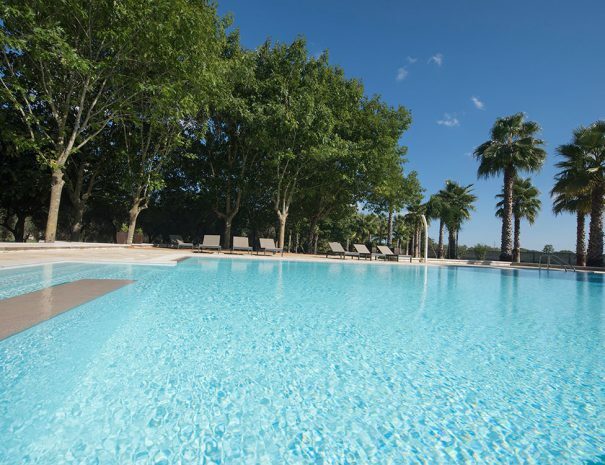 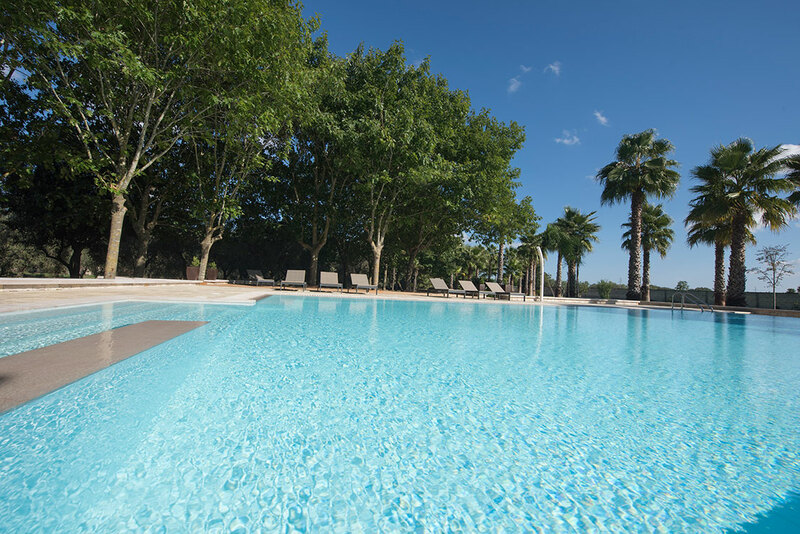 Additional 10% discount for bookings in spring, from 15 February to 15 May excluding holidays. 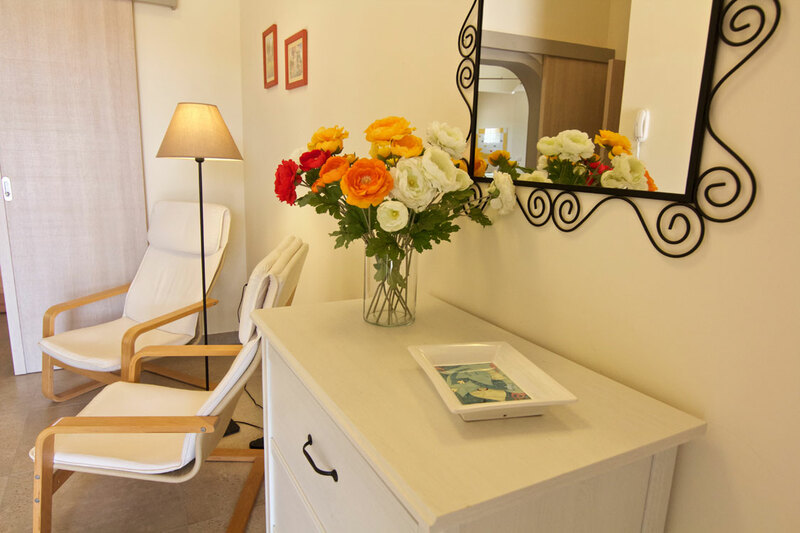 By booking a room for your honeymoon, you get a 15% discount, a fruit basket and sparkling wine in your room. 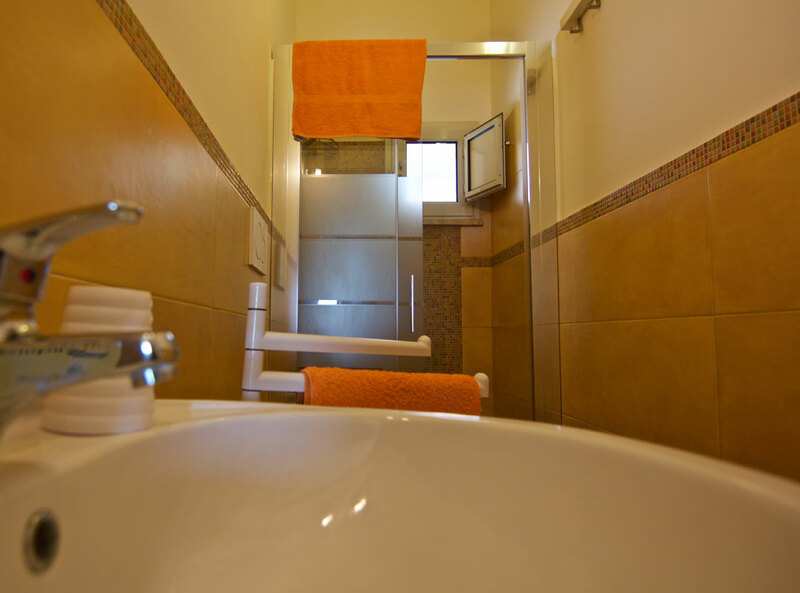 Sending this form you will get in touch with us to confirm your booking. 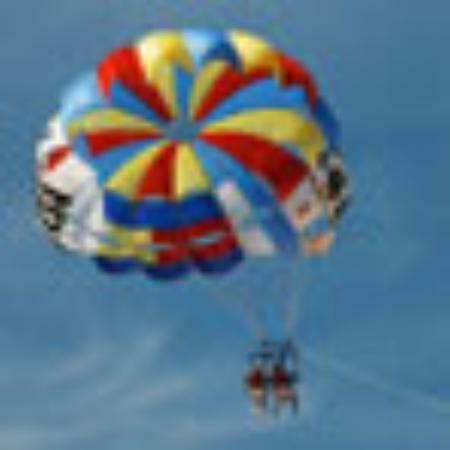 Sorry, no credit/debit cards available. 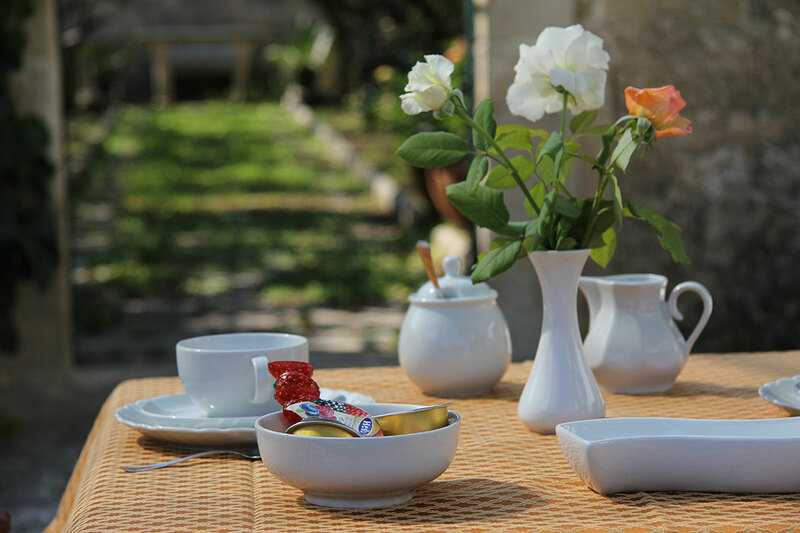 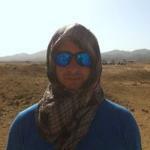 Wire transfer or Cash at the B&B payment only.